The more I get into this little kit the more I like it. 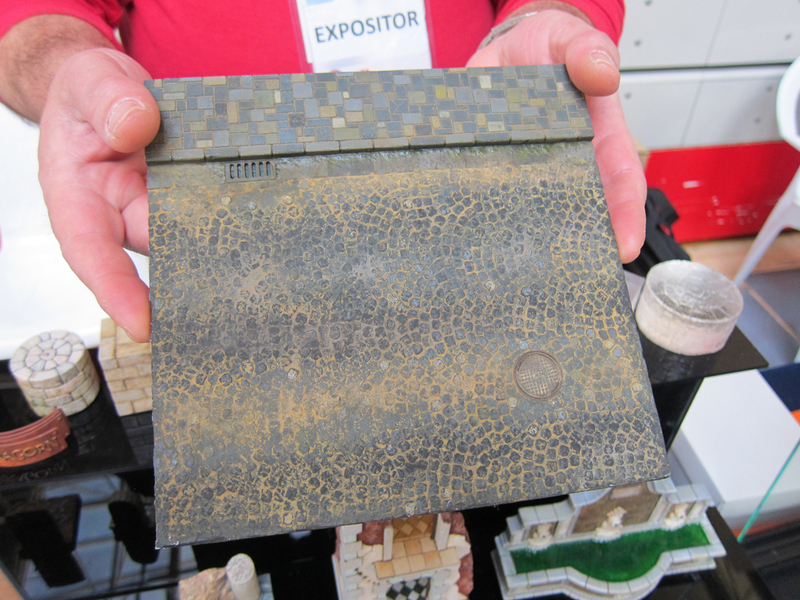 It builds fast, has great detail, and offers a wide range of finishing possibilities. 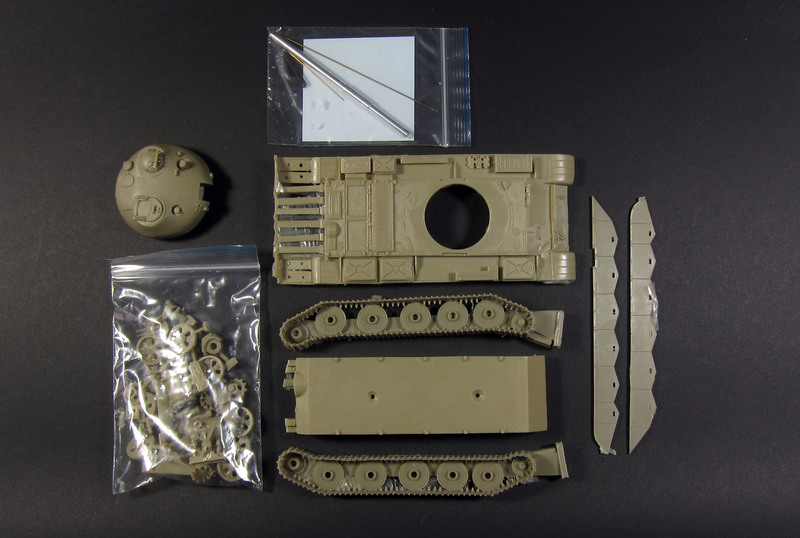 It is a resin kit though, so a bit of a different build mindset will pay off in the long run. Take the tracks for example. Long, thin cast resin parts are prone to warping. They can often be straightened by soaking them in hot water (or “heat soaking” with a hair drier), bending against the warp and holding while they cool. I tried the hot water method, but the tracks had enough mass and structure that they resisted my attempts to straighten them this way. 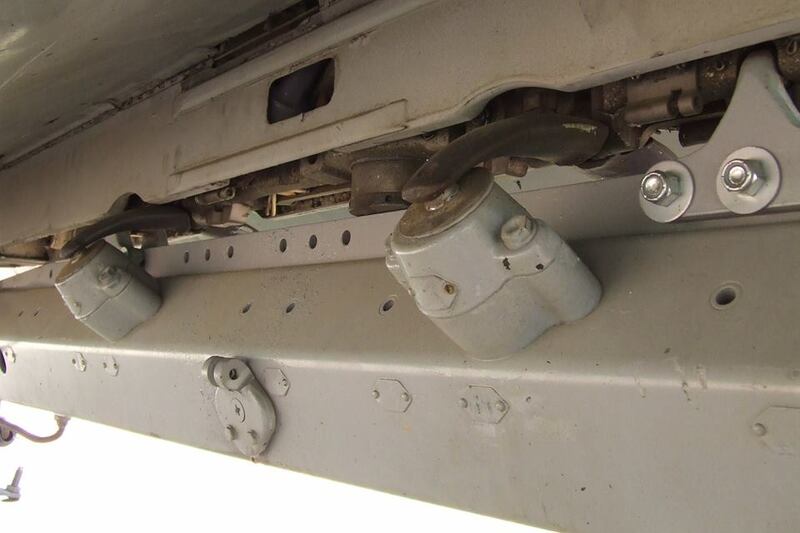 I thought about clamping them to the hull and using cyanoacrylate to hold them in place, but the thought of permanently bonding them on before paint, as well as the need to use complicated spacer blocking to prevent clamping on the fragile track link ends gave me reason to keep looking for a solution. In the end, the kit designer provided the inspiration for the solution I chose. 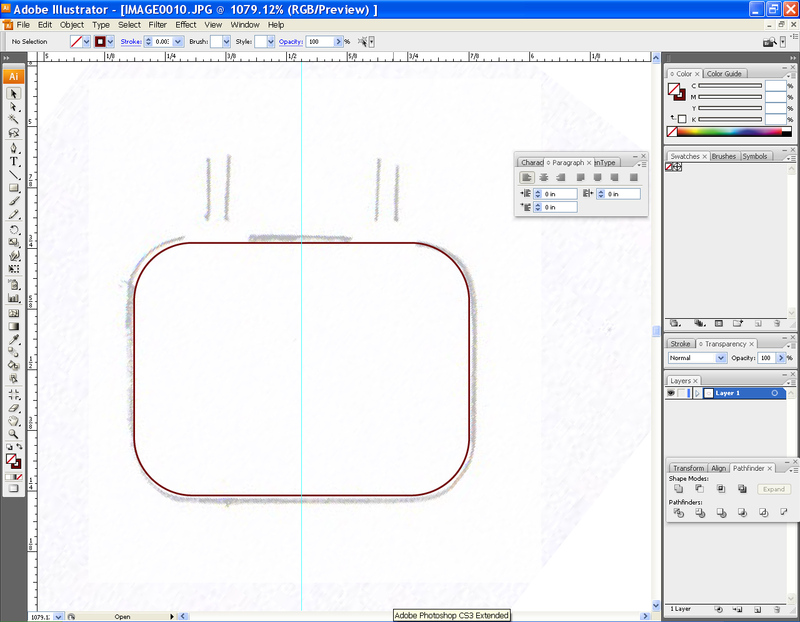 In the image below, you can see the warpage of the tracks. 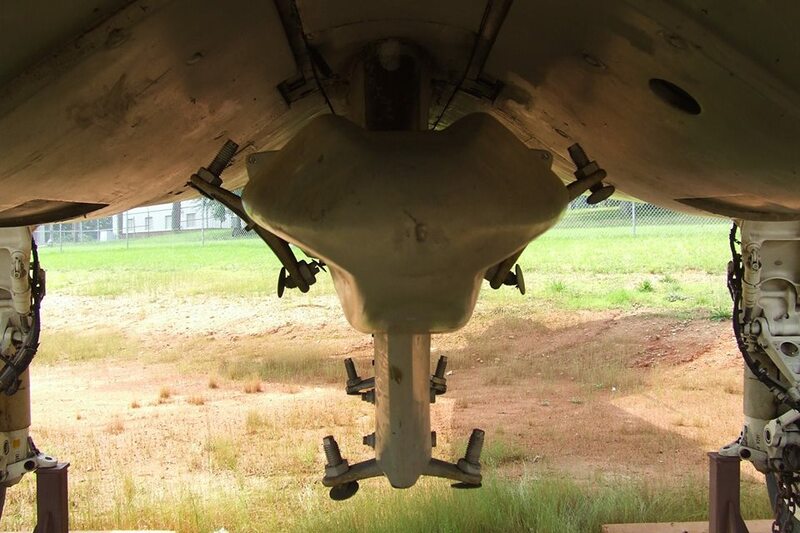 You can also see the two countersunk holes in the bottom of the hull. 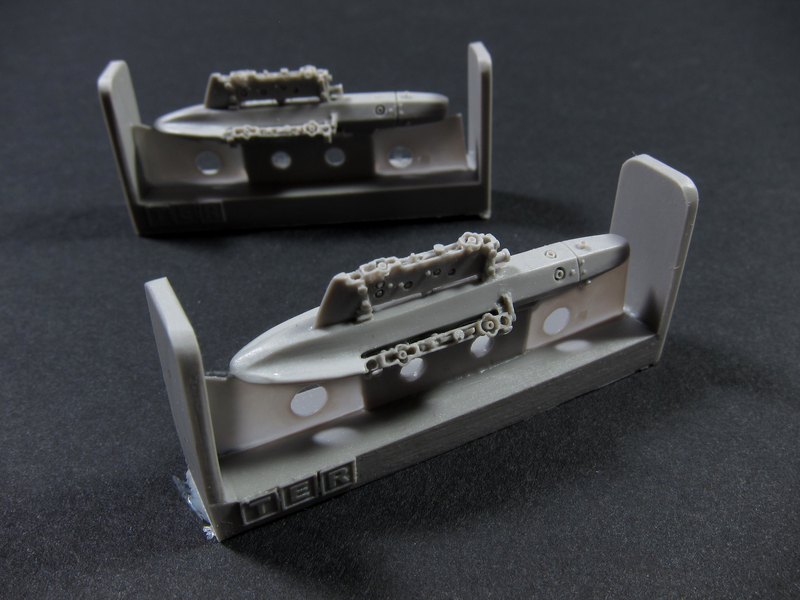 Those holes allow the modeller to screw the hull top and bottom together. 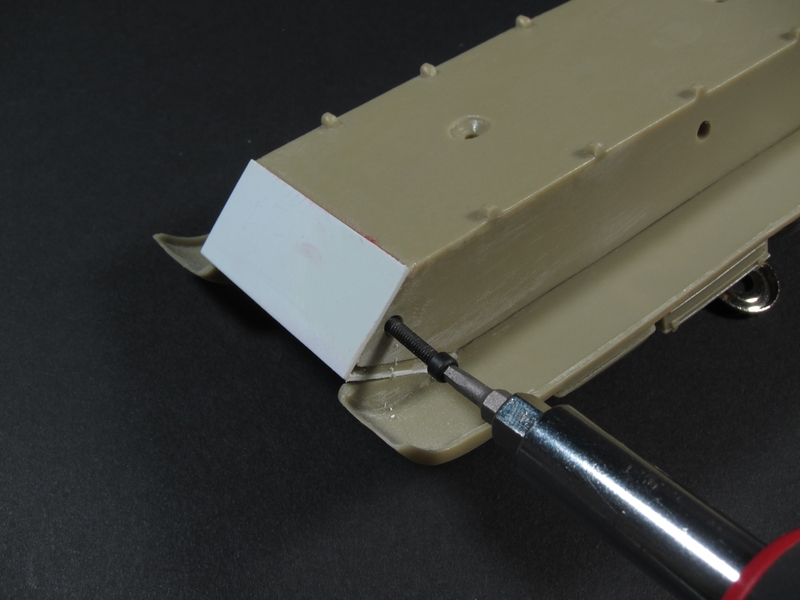 I didn’t use them, but instead decided to permanently bond the hull together due to seam work on the glacis. 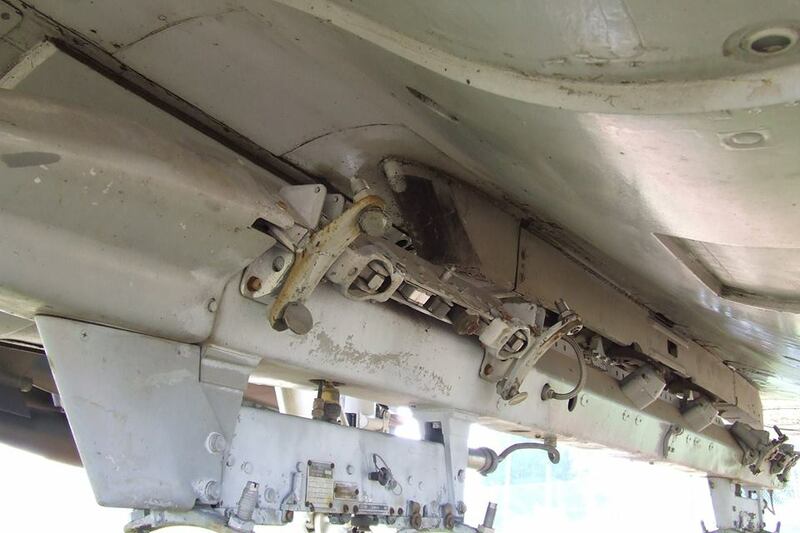 I thought it was a neat design feature though, and wondered if I could use the same idea to attach the tracks, using screws to clamp the tracks flat against the hull, while also allowing me to keep them removable for finishing. 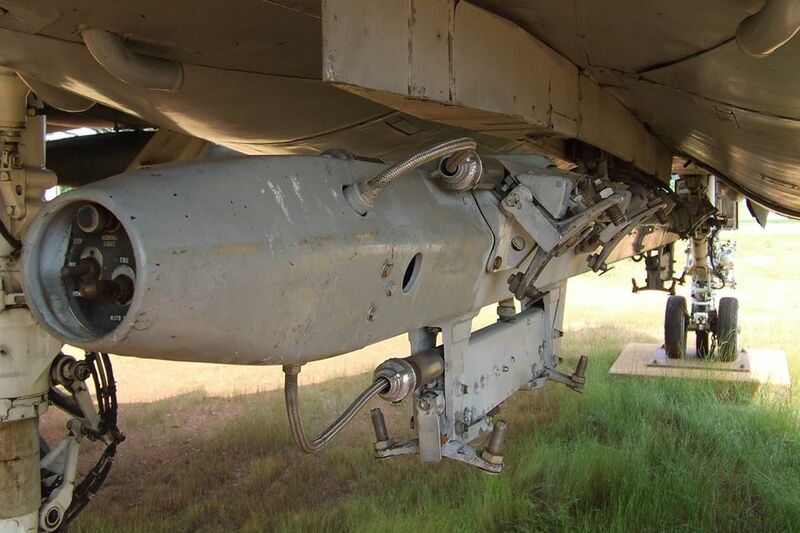 Two birds, one SABOT round etc! 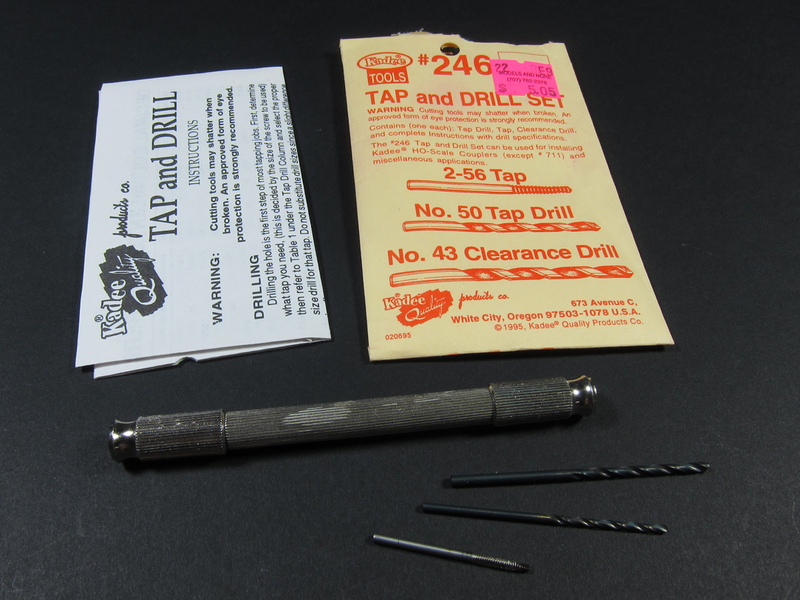 I looked through my tool stash for my miniature tap and die sets and found an old 2-56 tap and die set from Kadee (railroad modelers will recognize the brand) and some 2-56 machine screws. 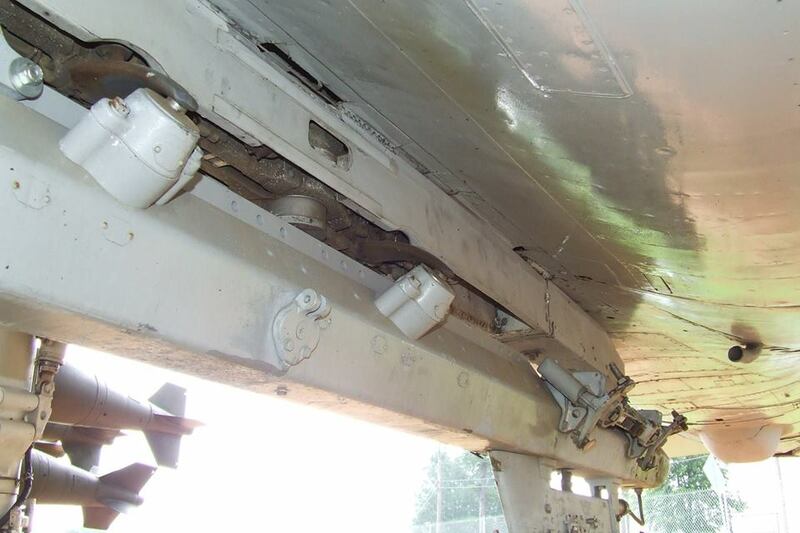 I drilled and tapped the hull for the 2-56 screws, then cleaned the holes with a 2-56 screw. 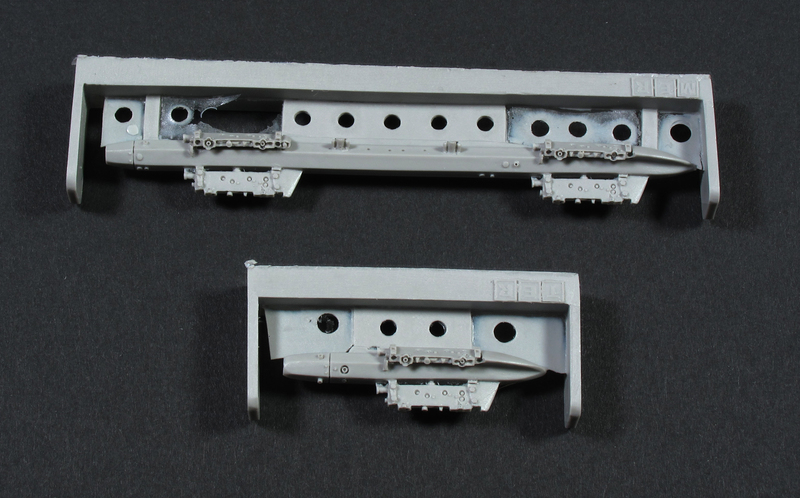 Then I used the 2-56 clearance drill to drill the holes on the kit tracks. 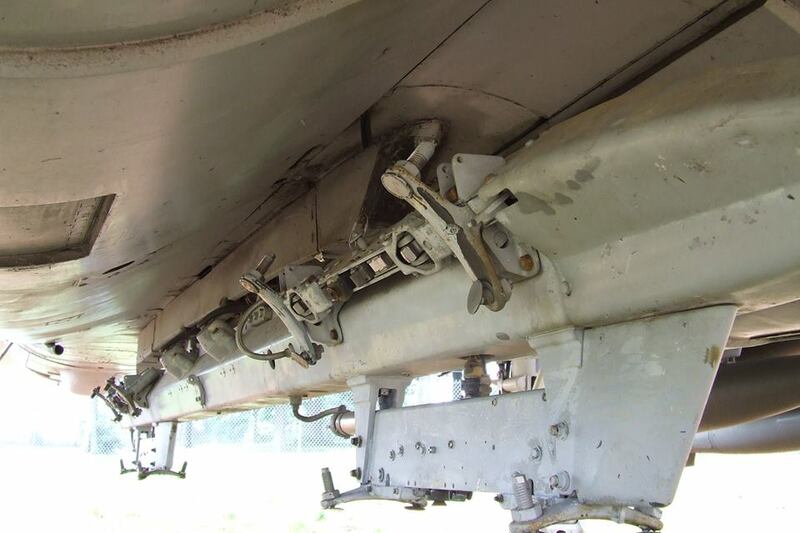 Here you can see the secured track on the right and the out-of-the-box track on the left. I think it will still require a bit of tuning with heat and pressure to get the ground contacting track links to rest properly, but I am happy with the result. I’m really enjoying this build and I want to thank my friend Jose Luis Lopez Ruiz again for the gift. Next up – the turret! 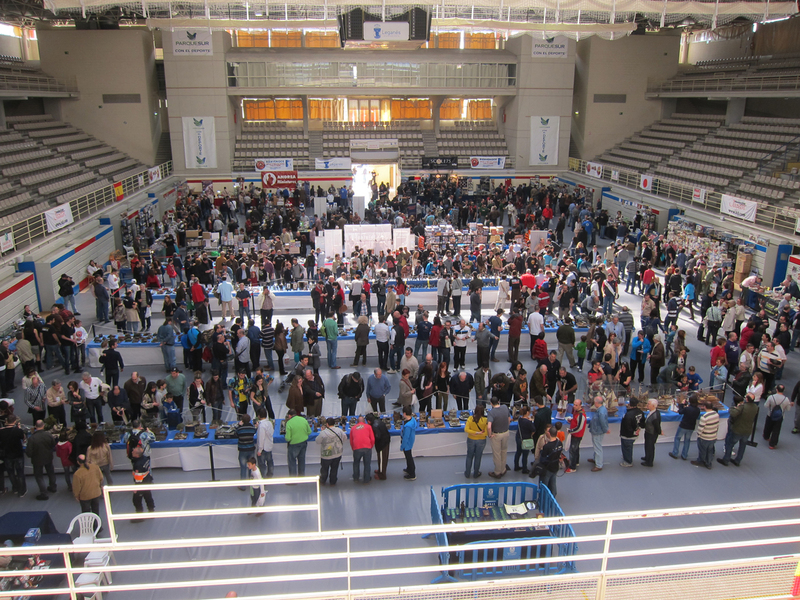 Last weekend, Friday, Saturday and Sunday March 14th, 15th, and 16th, modelers, vendors and their friends and families gathered from all over Europe to attend the 4th annual Concurso de Modelismo Estatico in Leganes, Spain. 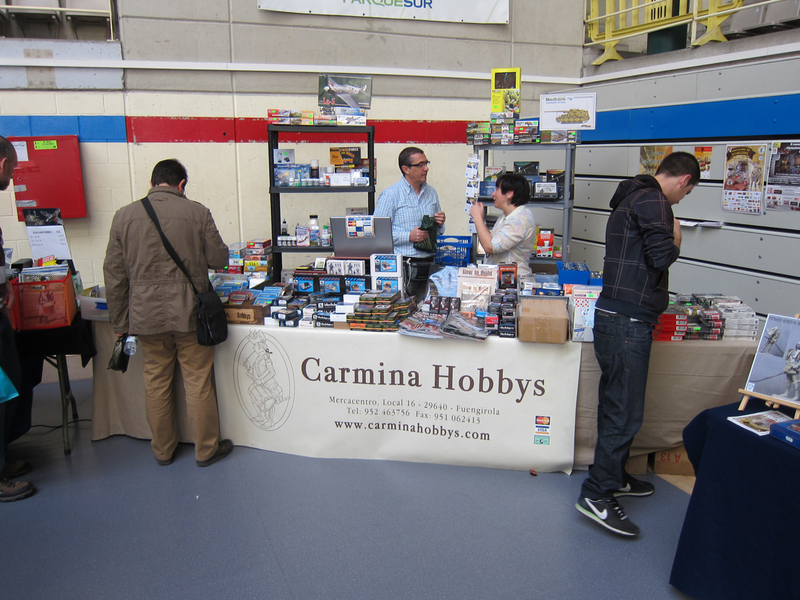 Hosted by IPMS Madrid – Asociacion de Modelismo Estatico Leganes – chapter of the International Plastic Modelers Society, the show brought visitors and locals alike to the Pabellon de Europa to see some of the worlds best modelers displaying their latest projects, pick up the latest figure or accessory, catch up with old friends, see a demo by a well known modeller, eat, drink, and generally celebrate life and the hobby. 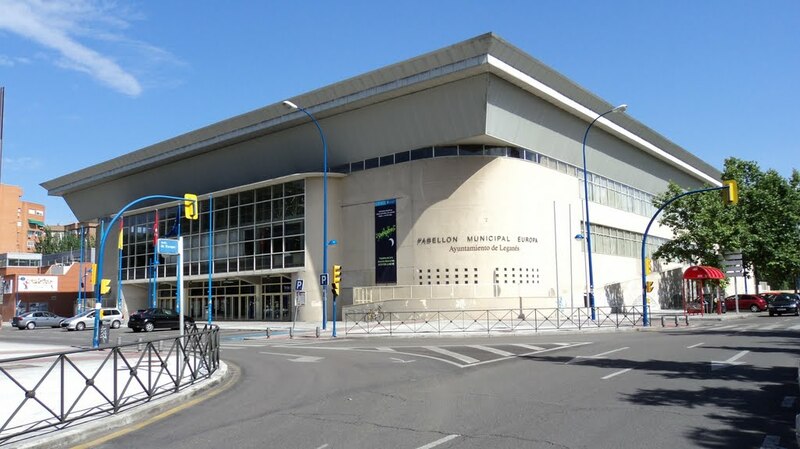 A suburb of Madrid, Leganes lies about a 20 minute train ride from the city of Madrid proper. With easy travel access, affordable accommodations, and an excellent venue, the show is quickly becoming on of Europe’s must-attend shows. 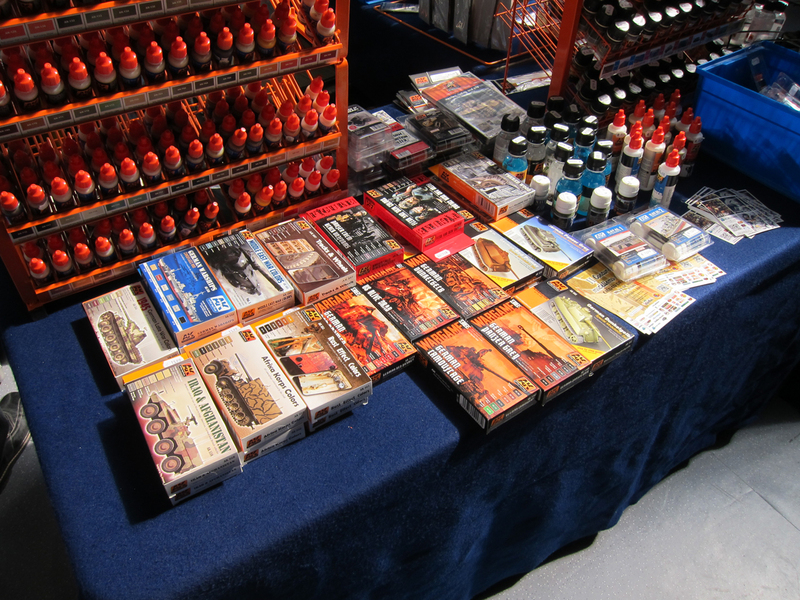 I don’t know the total number of entrants, but the quantity and quality of the displays was phenomenal! A quick tour of the vendors. Not all of them are pictured here, as I couldn’t get a good picture of every one. 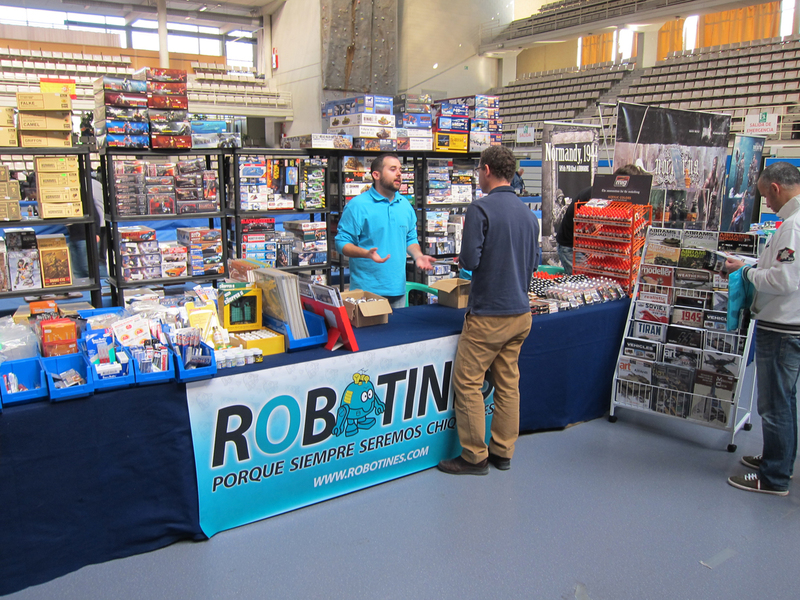 Alexander Glass of Uschi Van der Rosten giving a demo on Saturday at the Robotines booth. You should definitely stop by his website to check it out! There is a lot of useful info there as well as inspiring images and articles. 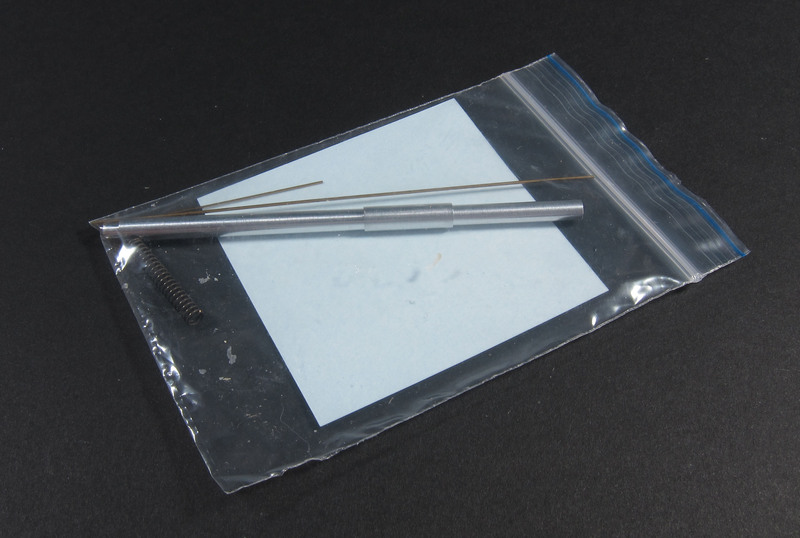 The section on Mr Hobby primers and thinners alone is worth the clicks. 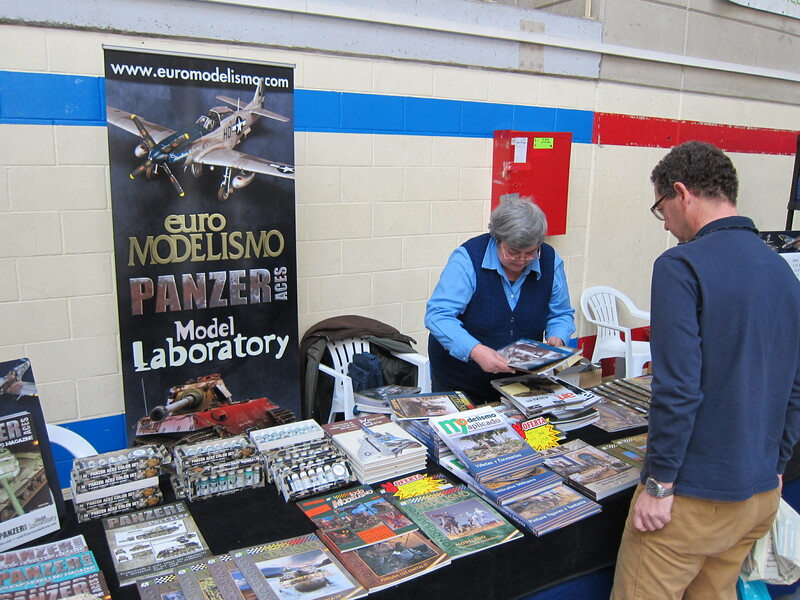 The good people of Accion Press / Euromodelismo / Panzer Aces were there with their high-quality publications. 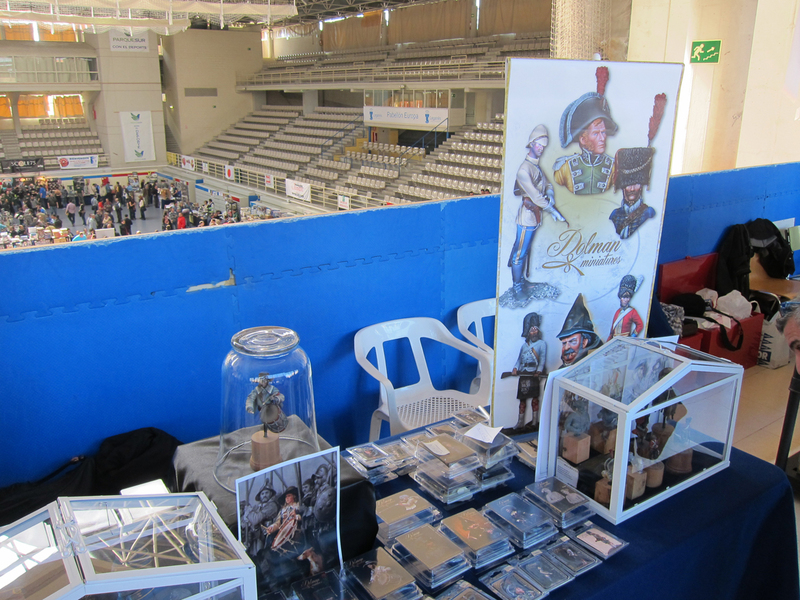 Alabardero figures was there with a very interesting “behind the scenes” display. 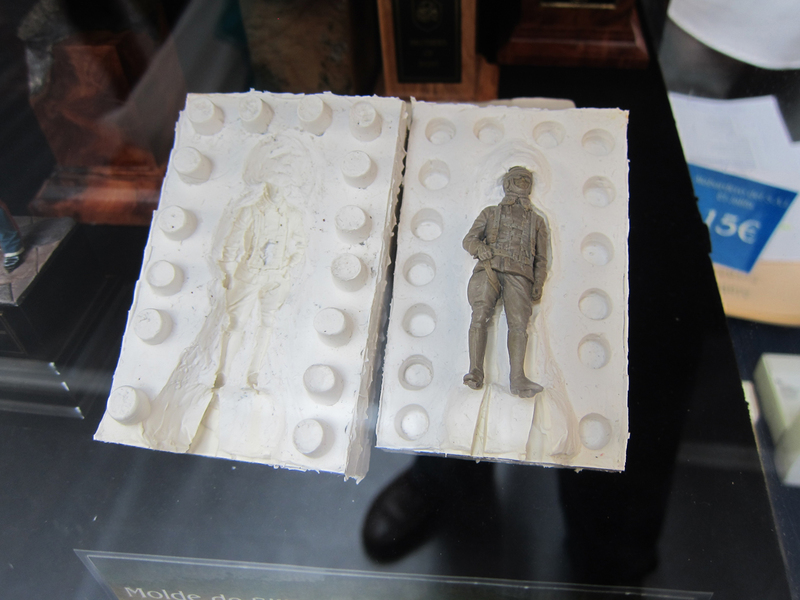 It was great to see molds, original patterns, and castings that modelers don’t usually get to see. 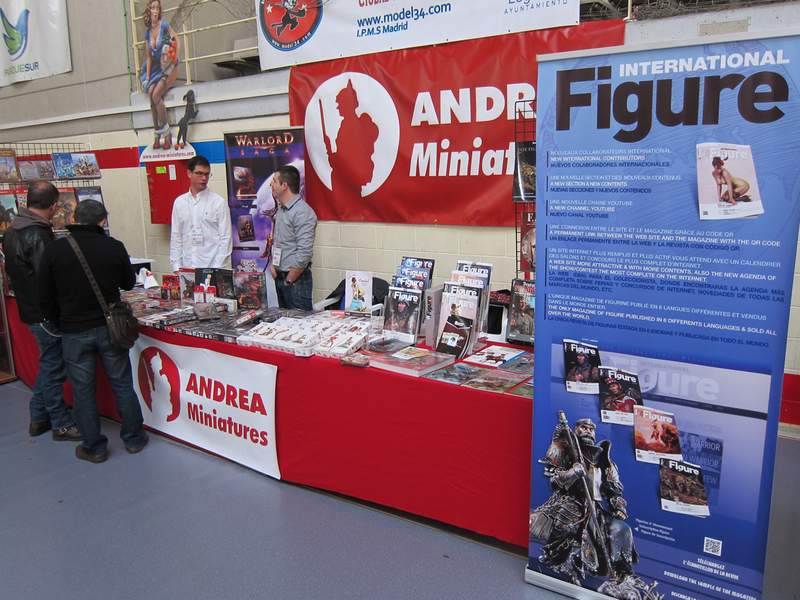 Andrea Miniatures had a well stocked booth. 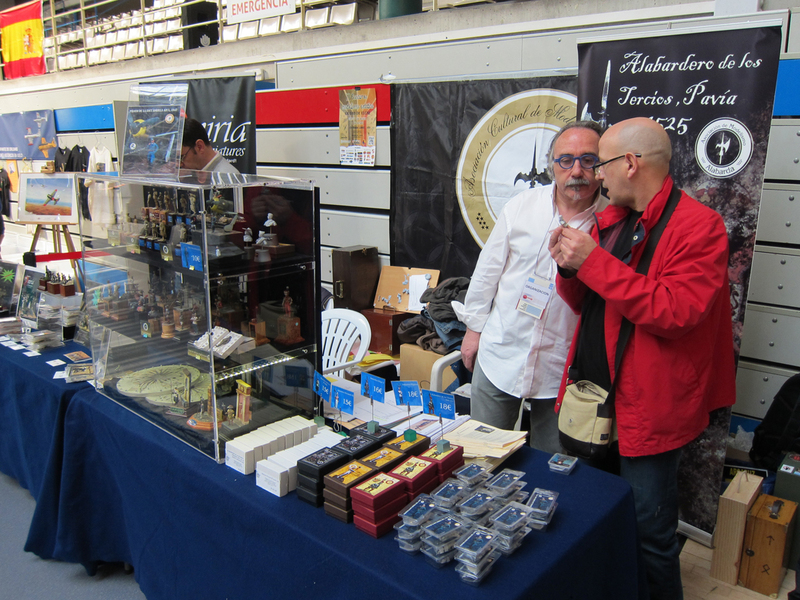 Their representatives were eager to talk about their new products and were extremely helpful! They even offered to return the next day with English editions of whatever I might be interested in. 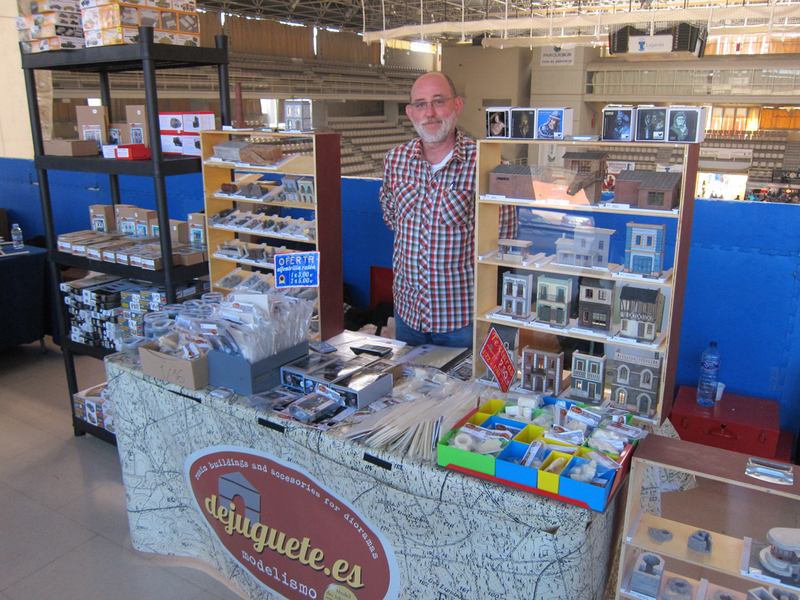 Dejuguetes was there too with a great display. It was too bad that they were placed on a floor above the main level where they didn’t get a lot of foot traffic. 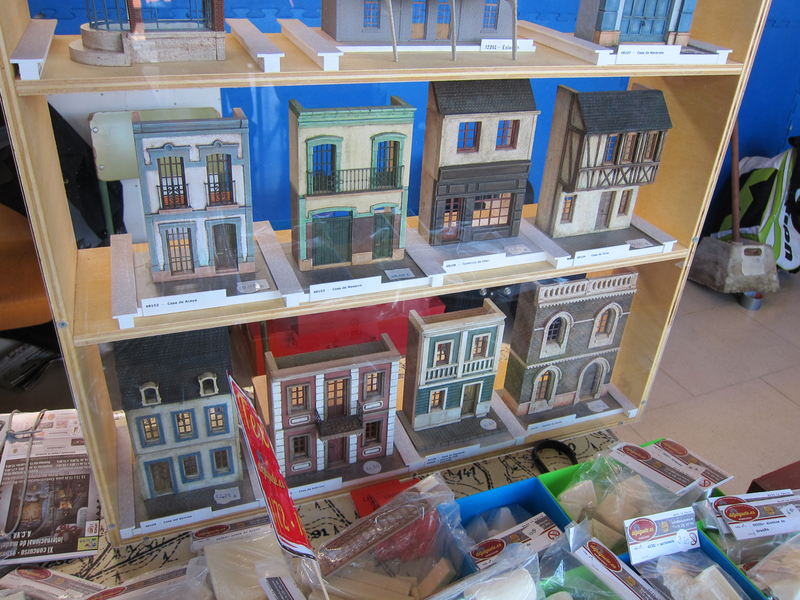 Dejuguetes produces, among other things, some really nice building facades and diorama accesories. 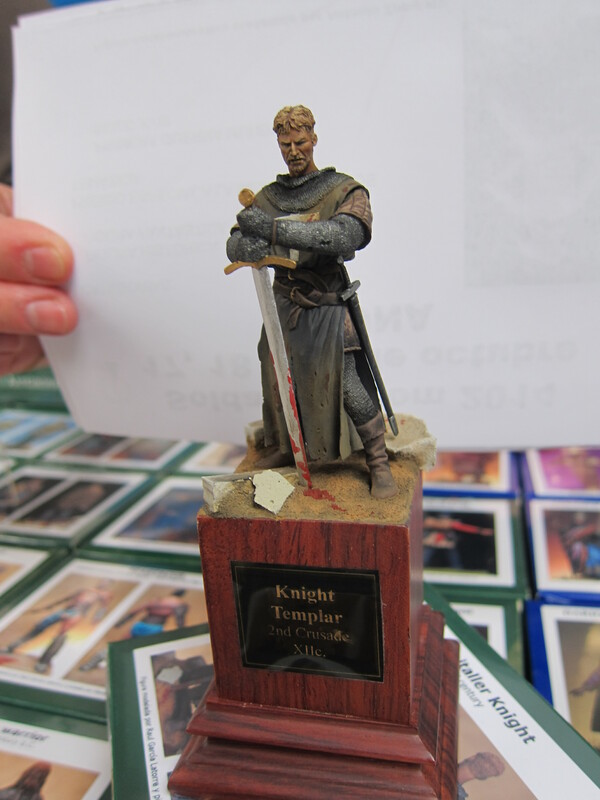 Dolman Miniatures had an interesting booth with some very nice graphic design on display. 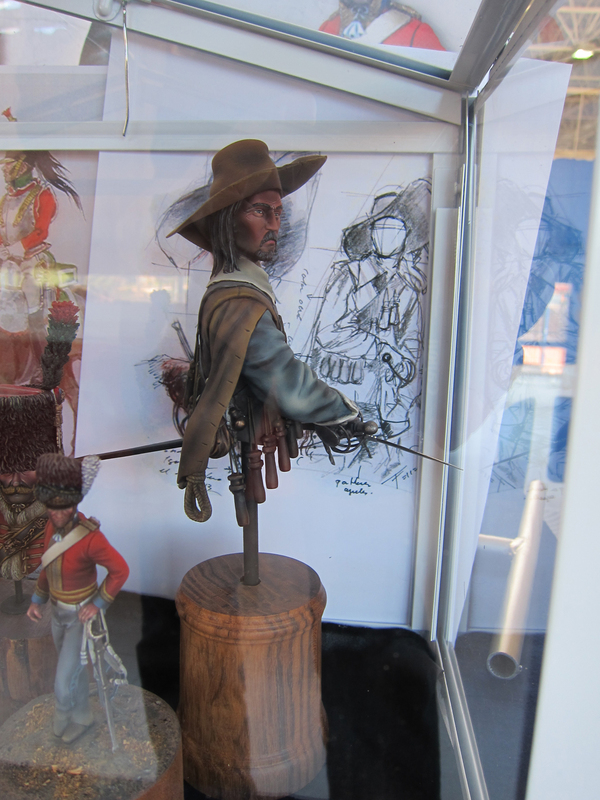 Similar to Alabardero, they showcased some of the actual design process. 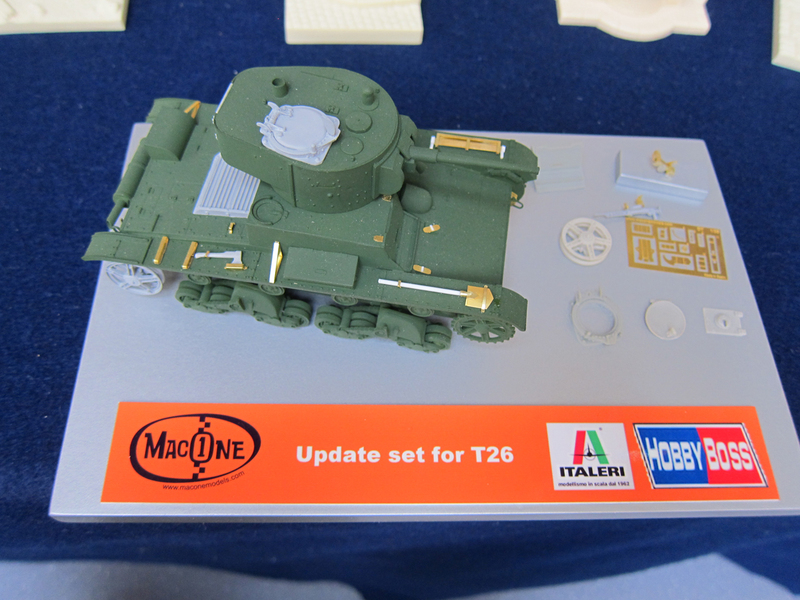 Mac One Models had a very nice booth presenting various diorama and vignette items, as well as something I was very interested in: their Spanish Civil War T-26 conversion kit. 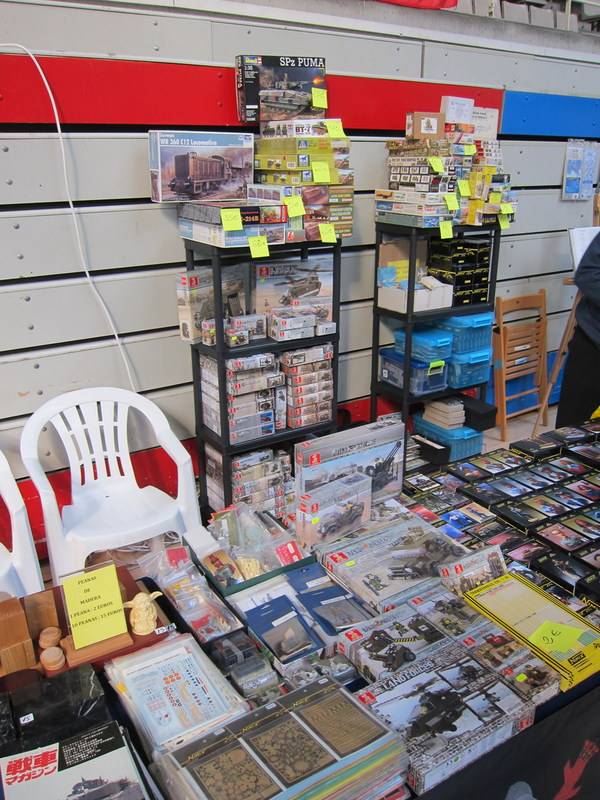 All were very reasonably priced and demonstrated an understanding of the value that the modeller places on time. 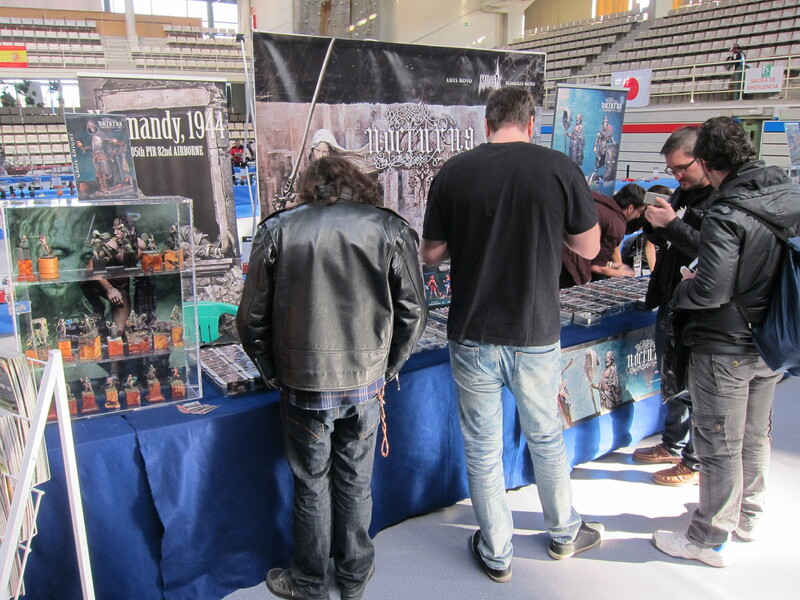 Nocturna Models was there with their always stunning display of incredible figures. These guys and gals have definitely raised the bar on presentation and design of every aspect of figure modeling. 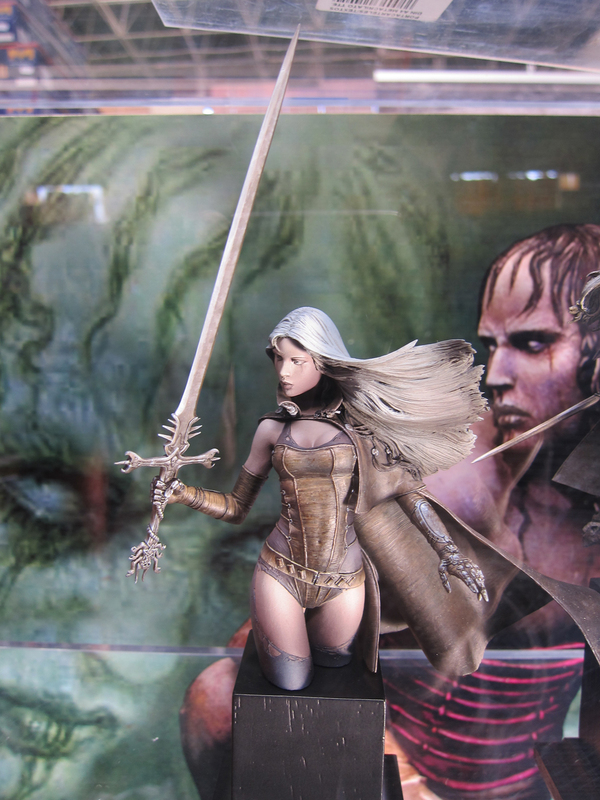 From the dynamic sculpts to the top-notch presentation in packaging, these figures are awesome! 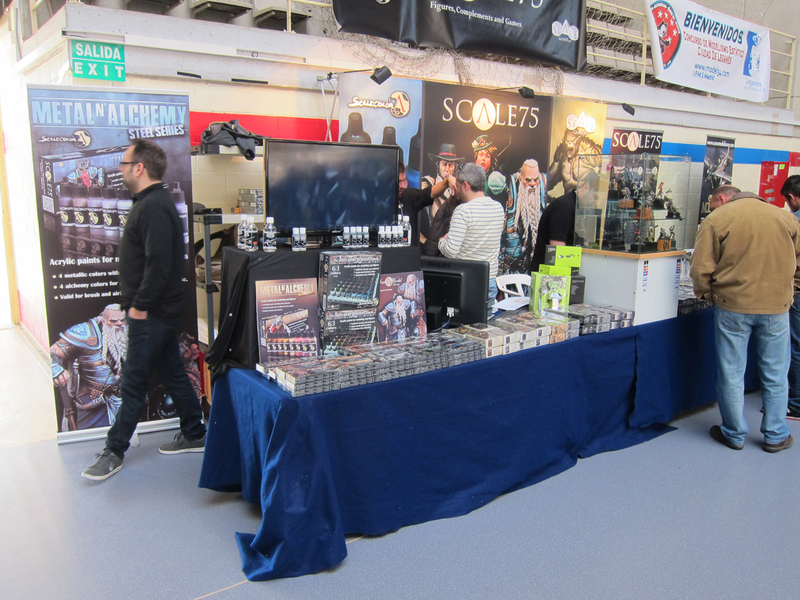 Unfortunately I came away from their booth empty-handed due to a pesky credit card chip / PIN issue. Next year! 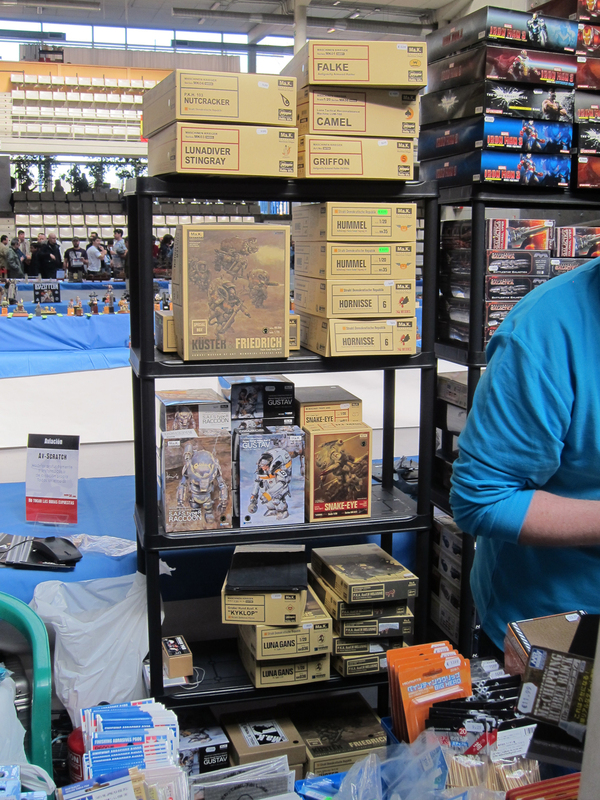 Scale 75 was giving another demo this year. 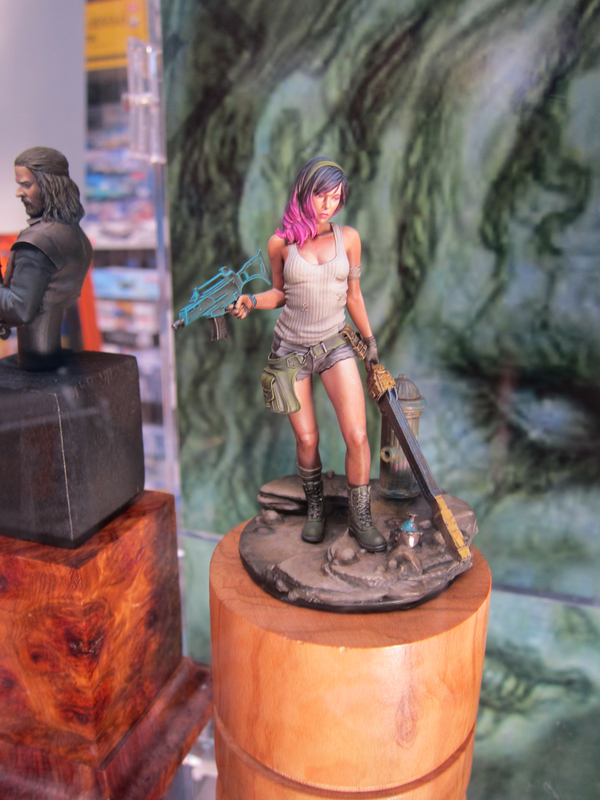 this is another company that has really elevated the art of modelling presentation. 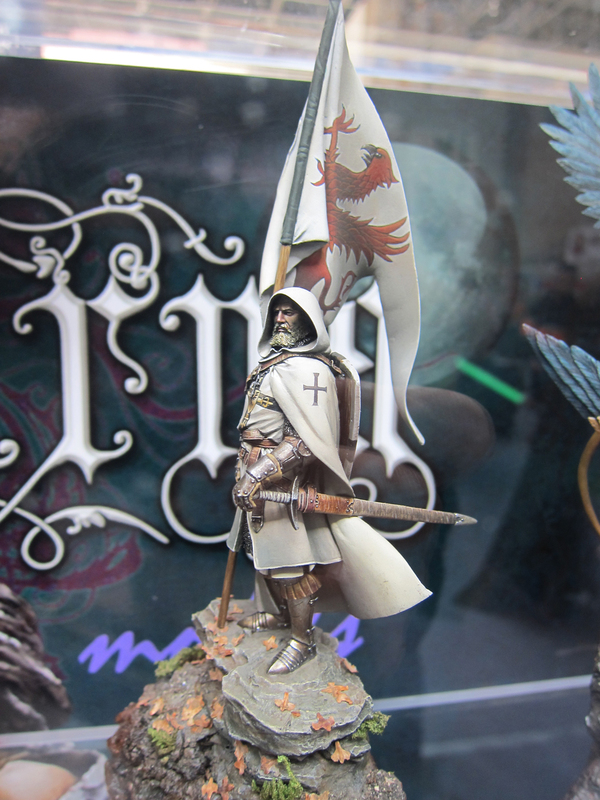 I don’t know if it’s Spain’s “artistic DNA” or the popularity of figure painting in Europe that is the reason for the high level of craft from these Spanish figure companies. Whatever it is, it’s great to see the art being elevated to such a high standard. 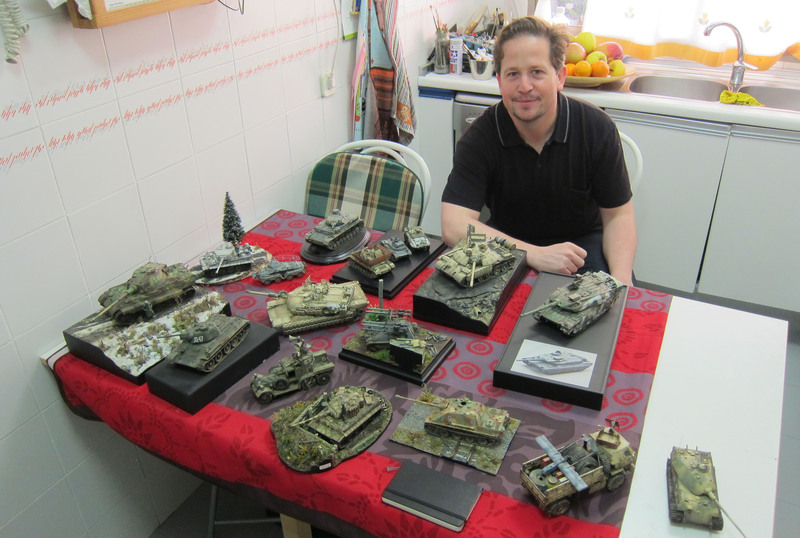 Raul Perez Muñoz of Make Hobby – with a full lineup of BlackDog miniatures, got a little bit of my hobby budget. 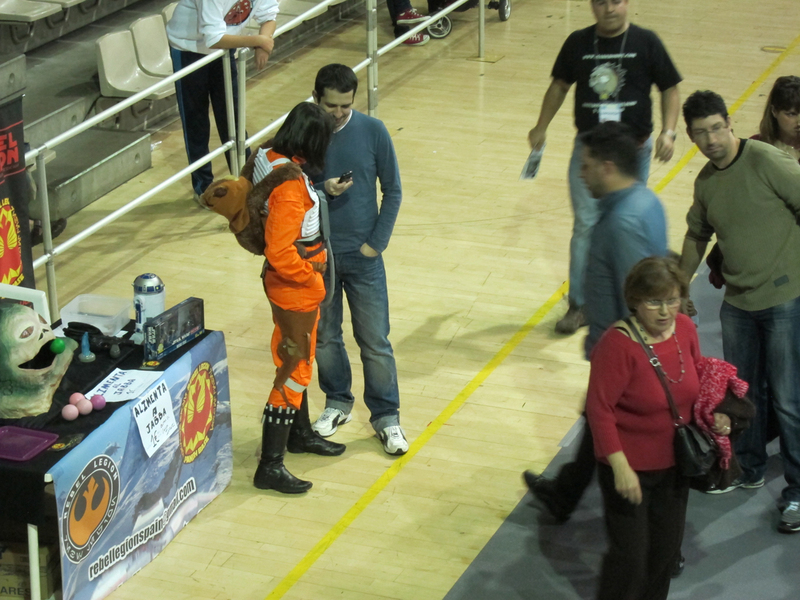 Unfortunately I didn’t get a picture of their booth. I guess I’ll just have to go back next year. 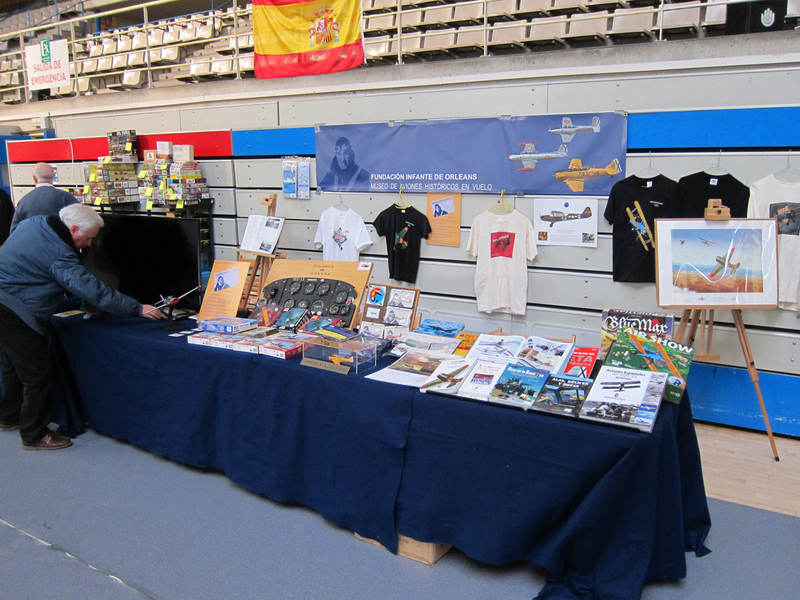 Fundacion Infante de Orleans had a neat aviation themed display. 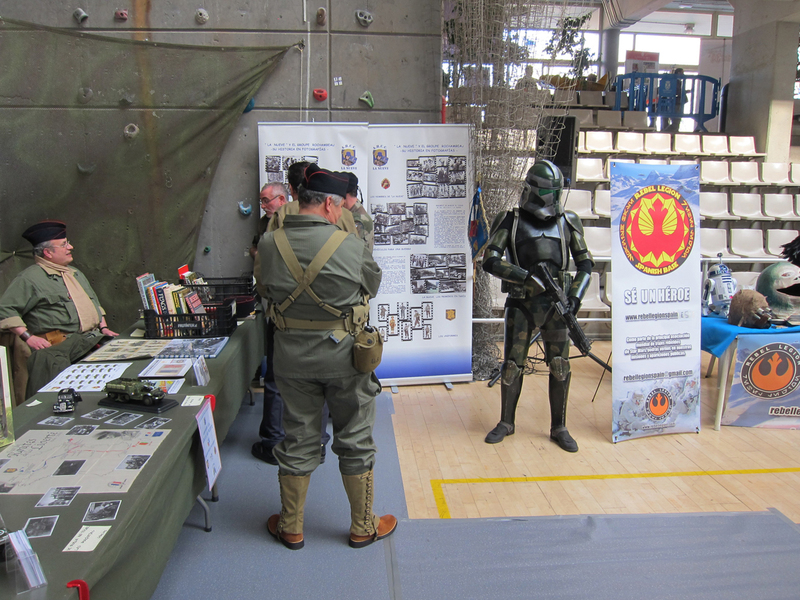 Various reenactment and cosplay groups were in attendance too, roaming the crowds providing photo-ops. 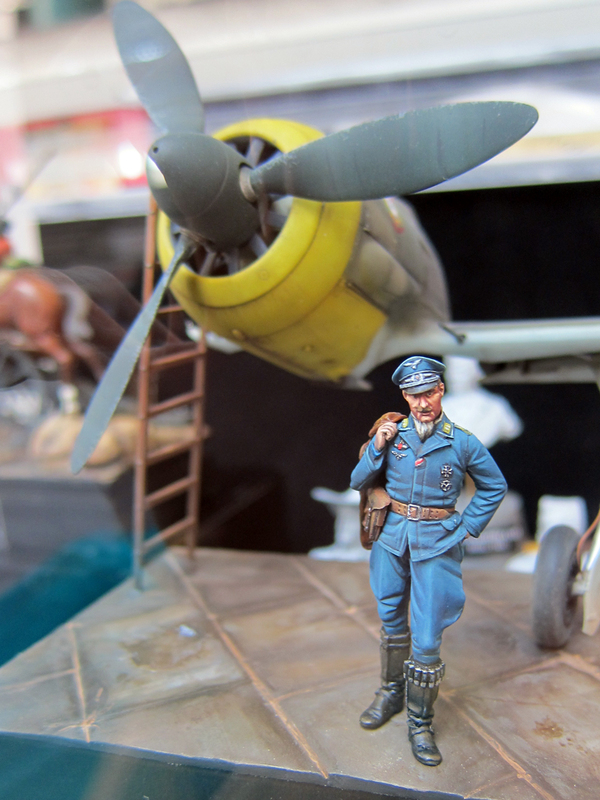 Part 2 will focus on models and people of this fantastic show. Stay Tuned and thanks for looking! I recently had the pleasure of spending a morning in the workshop of the talented and affable Jose Luis Lopez Ruiz. Over a nice Spanish coffee and a cupcake, Jose suggested that (among other things – stay tuned for a more in-depth post about our chat) I take up 1:48 scale armor. He explained that painting in 1:48 scale will change the “scale” that you see things in, driving you to refine your technique and control, with the idea being that once you move back to 1:35 scale, you will continue to work in 1:48 scale in your mind, thus producing finer detail in your painting. It seemed to make sense and I was eager to try it, but I think Jose thought I needed a little more nudging. He asked me what subjects I like to build, and as soon as I replied “Modern Soviet stuff” he disappeared into another room. After a minute or so he returned with a small white cardboard box, which he held out to me with a boyish smile on his face. 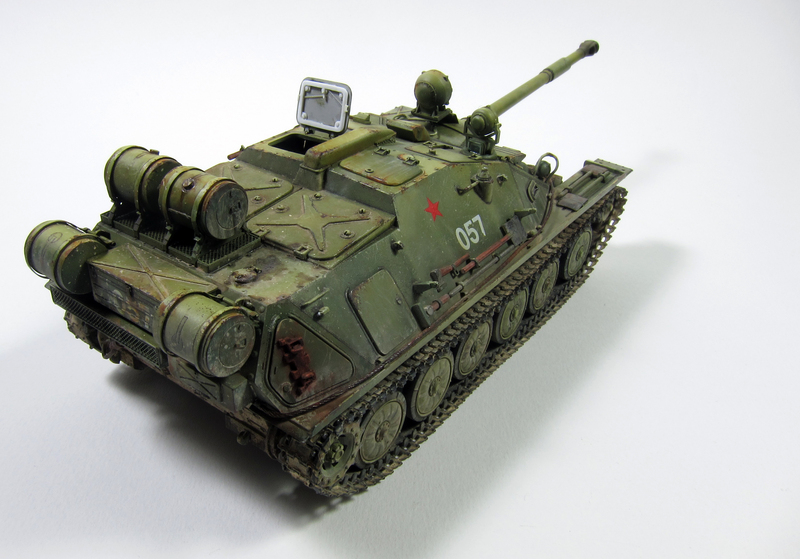 It was a T-62 by Gaso.Line Models! Touched by his generosity, and with a genuine desire to see where this experiment would lead (I had become increasingly dissatisfied with the over-sized chipping and scratching on my SU-85 and thought that this seemed like a great way to refine my technique) I accepted his gift and committed to completing the project by May 20th – Jose’s birthday. 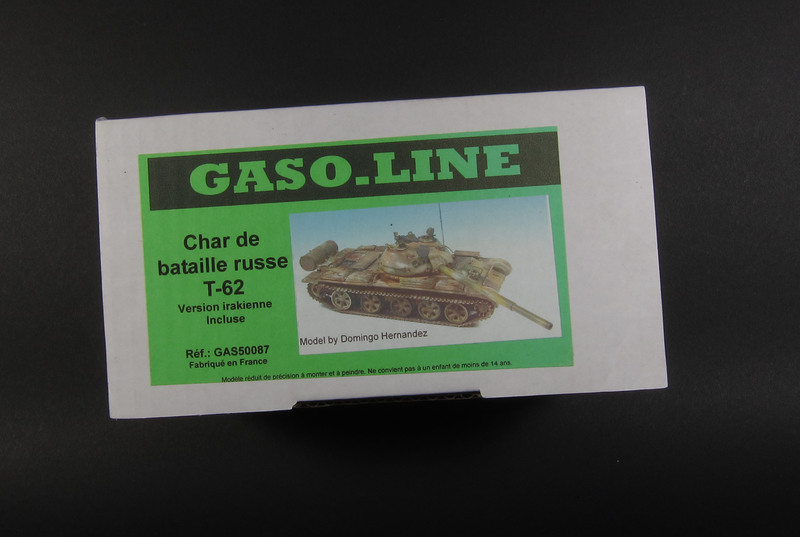 Gaso.Line’s 1:48 scale T-62 is molded in a pale green polyurethane resin. 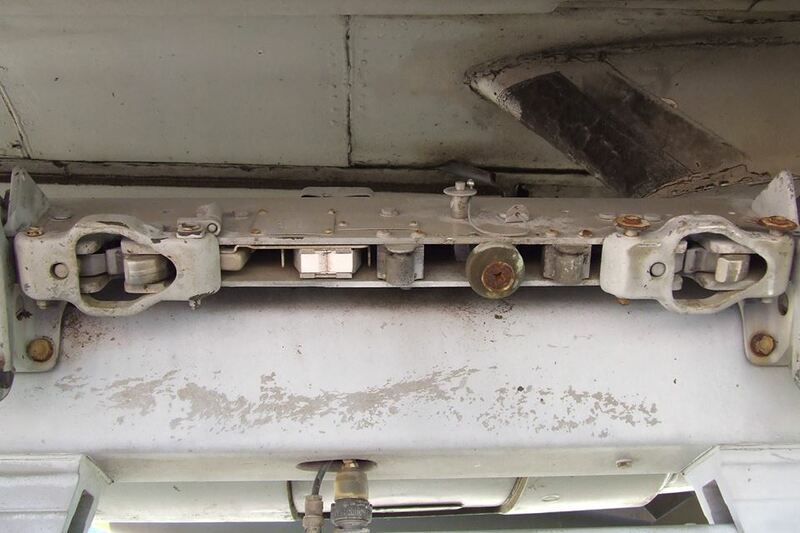 It comes with a turned aluminum barrel, a spring, and some brass wire for forming the headlight guards. 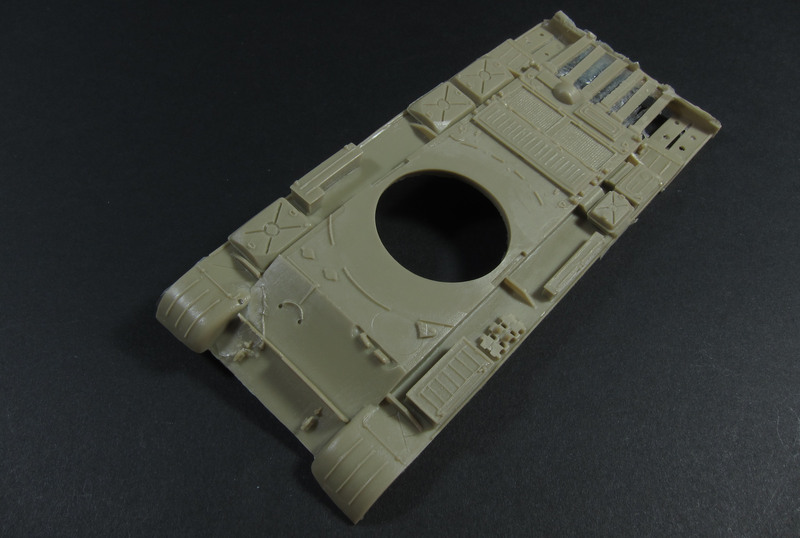 Detail throughout is very nice, but a few areas of the upper hull showed signs that the mold was wearing a bit. The tracks were slightly warped, but nothing that hot water and clamping wouldn’t take care of. 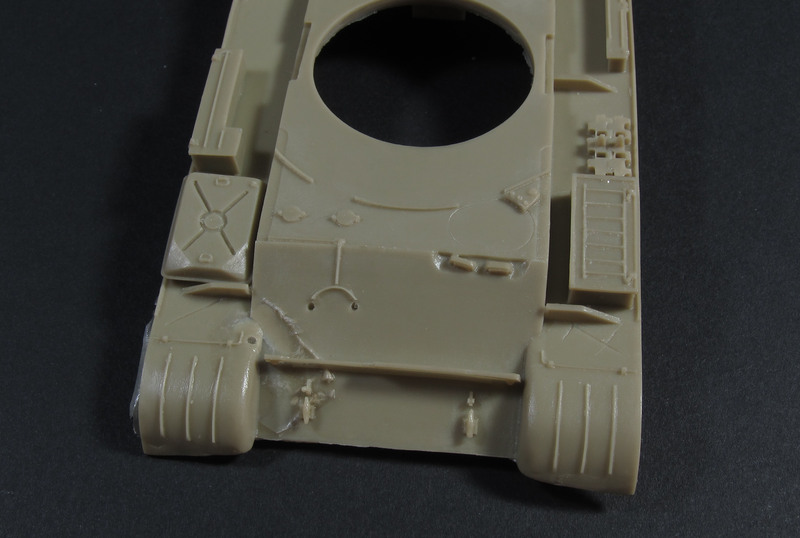 The details on the glacis plate were a little distorted due, I believe, to mold wear, so I decided to sand it smooth and add a sheet styrene plate to re-face the area and serve as a basis for the addition of my own replacement details. This required cutting through the fenders where they attached to the hull so that I could slide the new glacis plate under them. 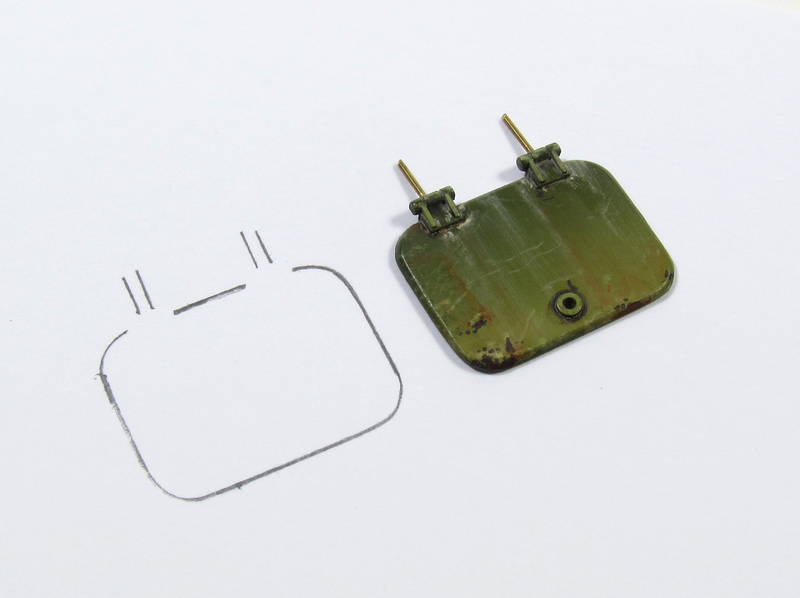 The headlight mounts were cut off, holes were drilled in the bottoms of the headlights, and corresponding holes were drilled in the new glacis plate. A new splash guard was cut from styrene and wood texture was added by scraping the face with a razor saw. 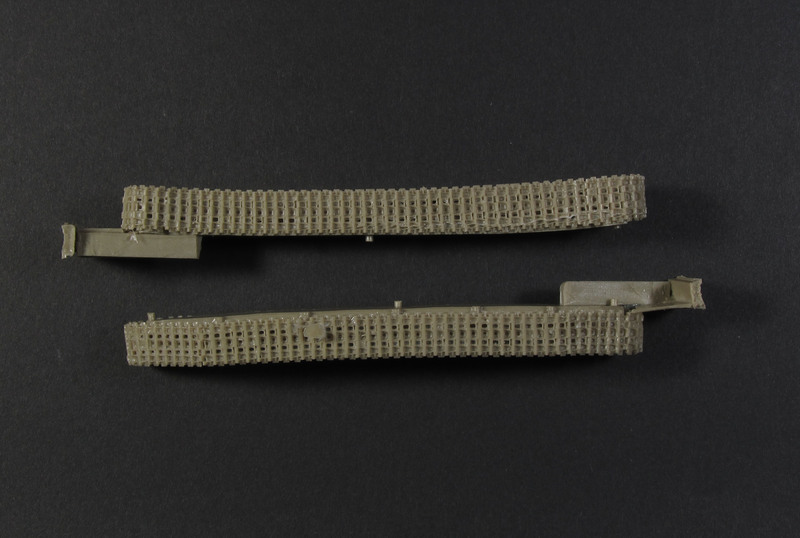 I also decided that the engine deck mesh screens were due for replacement. 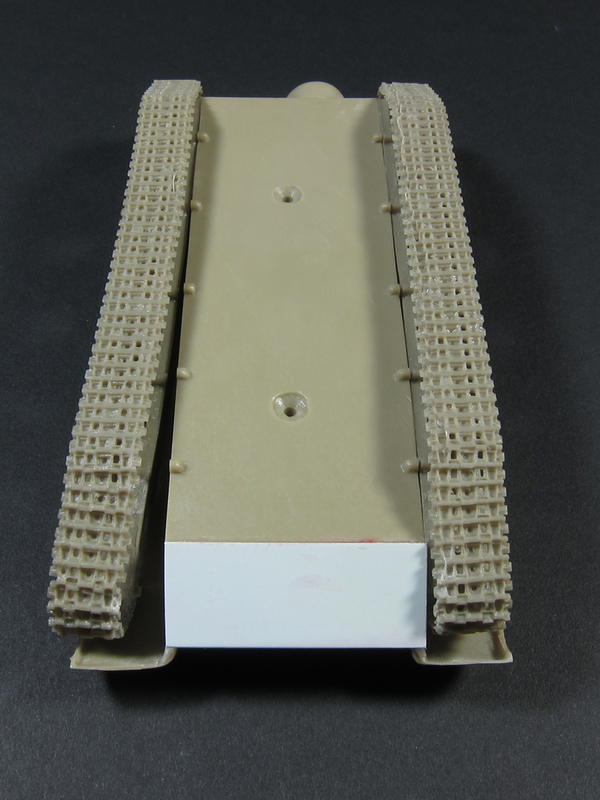 I used a motor tool to cut away the molded screens while holding the upper hull over the end of a vacuum cleaner hose to catch the resin dust. 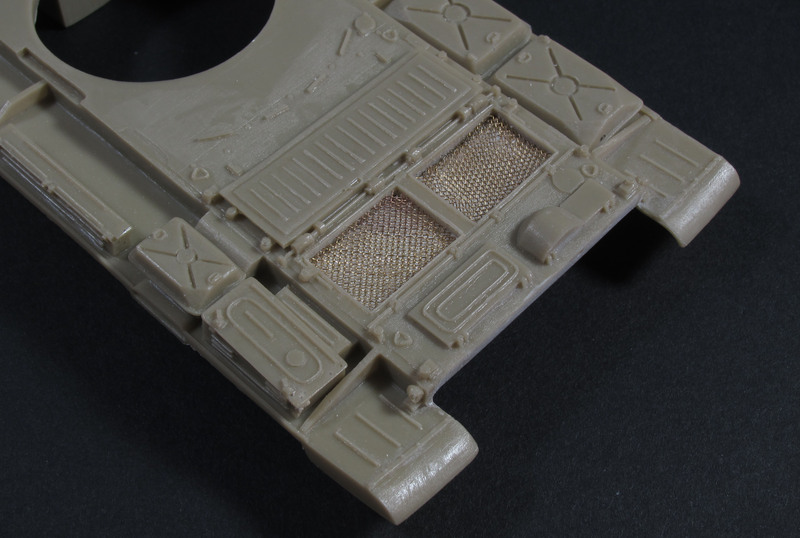 I then replaced them with small pieces of brass screen that I roughed up a bit to simulate a well-worn vehicle. 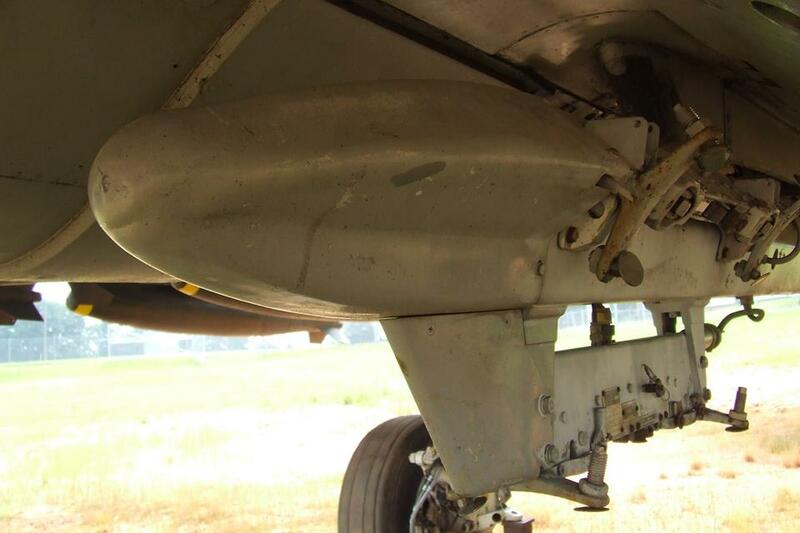 At that point the upper and lower hulls were joined. Next up: hull details and suspension. 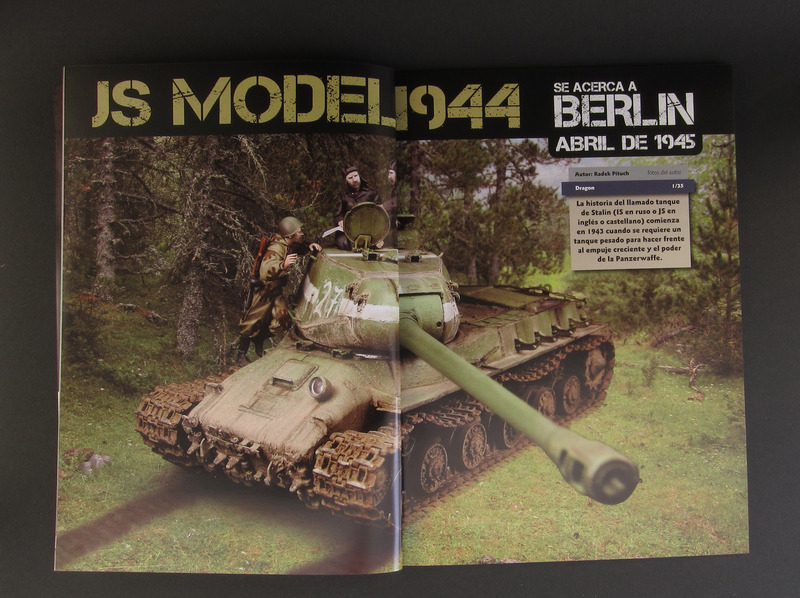 Just back from my trip to Leganes (Madrid) to attend the 4th annual Concurso de Modelismo Estatico, I want to take a few minutes to share a few images of the “WWII Soviet Special” issue (number 45) of Panzer Aces magazine. 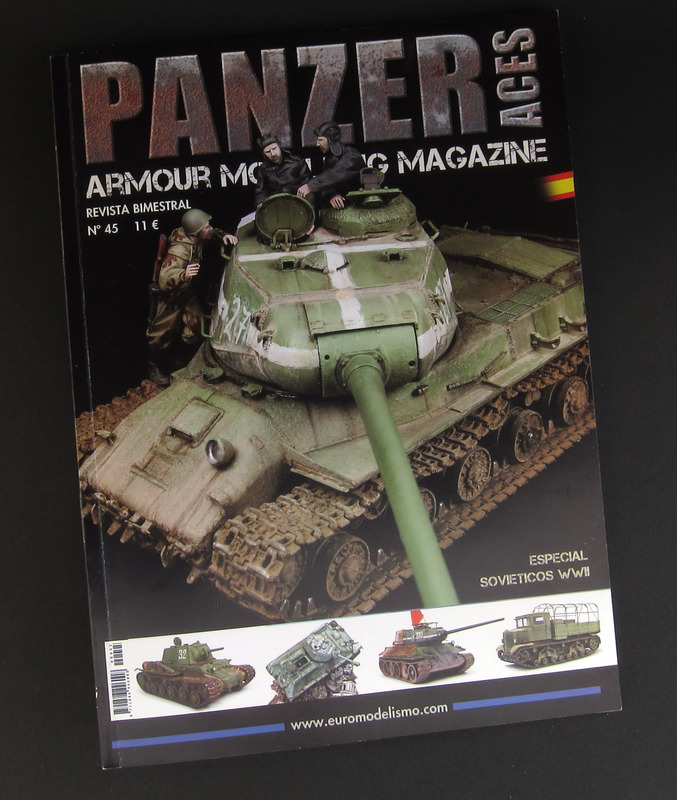 For those of you who don’t know Panzer Aces magazine (published by Accion Press of Madrid), I’ll start off by saying that the quality of the models presented in this bi-monthly title is of the highest level. Modelers Fabrizio Pincelli, Jose Luis Lopez Ruiz, Chris Jerrett, Cristobal Vergara, Radek Pituch, Mig Jimenez and many more supply content on a regular basis. The photography is excellent, with just the right balance of step-by-step photo essays and overall shots to give a sense of the finished piece. The text for each article begins with the customary historical background and transitions quickly into the build and finishing phase. Specific product call-outs are included for those who find that helpful, but I don’t get the impression that the magazine is one long product advertisement. 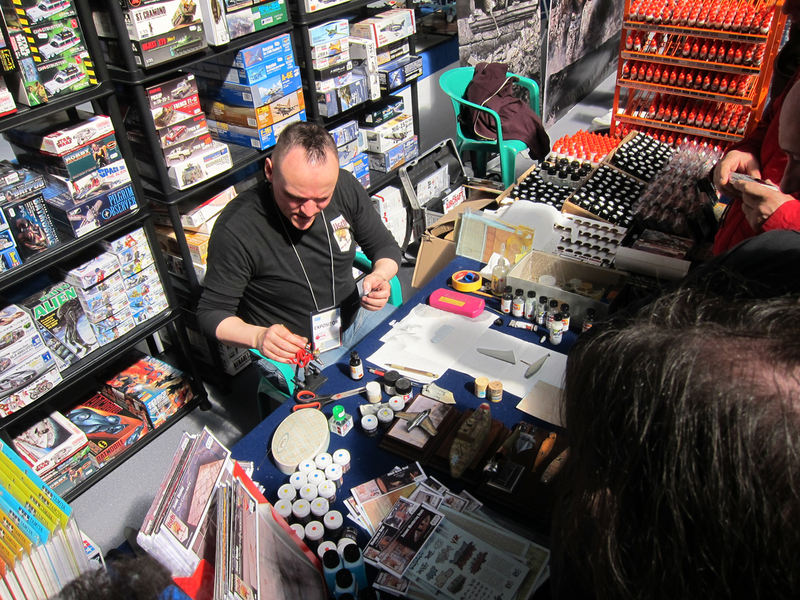 Each author shares his own preferred finishing method and products. 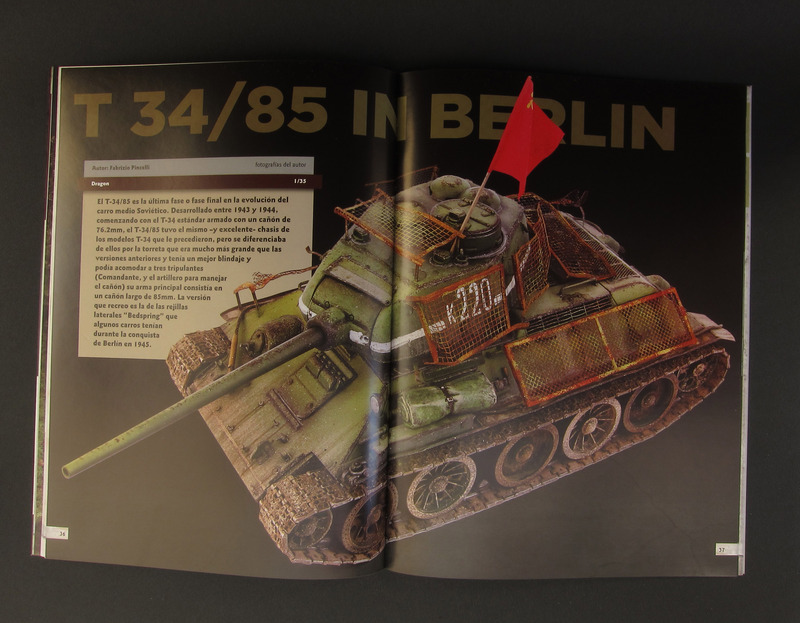 The result is exposure to a variety of materials and processes, which I think is a positive thing for modelers a well as manufacturers and suppliers, in addition to being healthy for the publisher – but look at me editorializing! Who wants to see pictures? 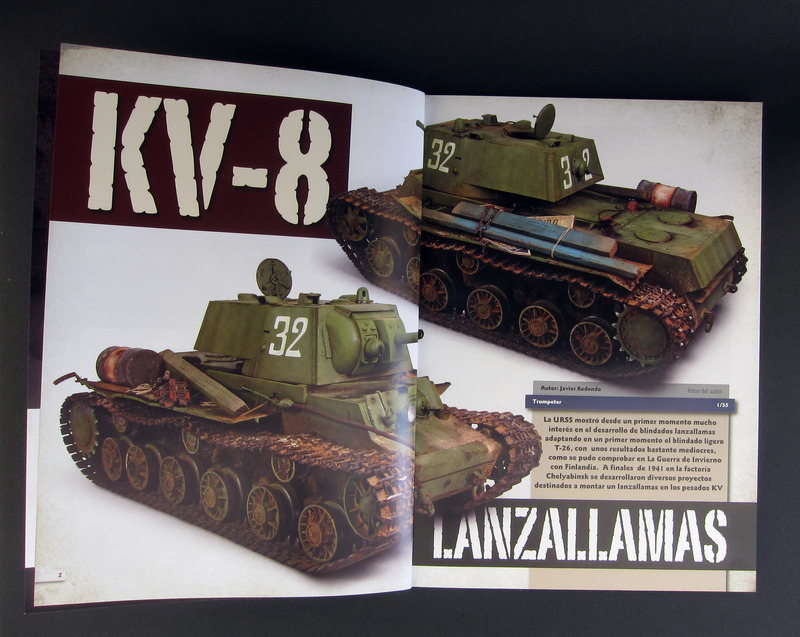 Panzer Aces is published in both English and Spanish, so be sure to select the English option if that’s what you’re after. My copy happens to be Spanish since I picked it up in Spain and I’m able to read Spanish. An English copy, shipped to the US will set you back about $20. Hopefully as Accion Press titles become more widely available through distributors in the US, the price will come down a little. Accion Press offers many other titles in their lineup. Look for more reviews in the near future. 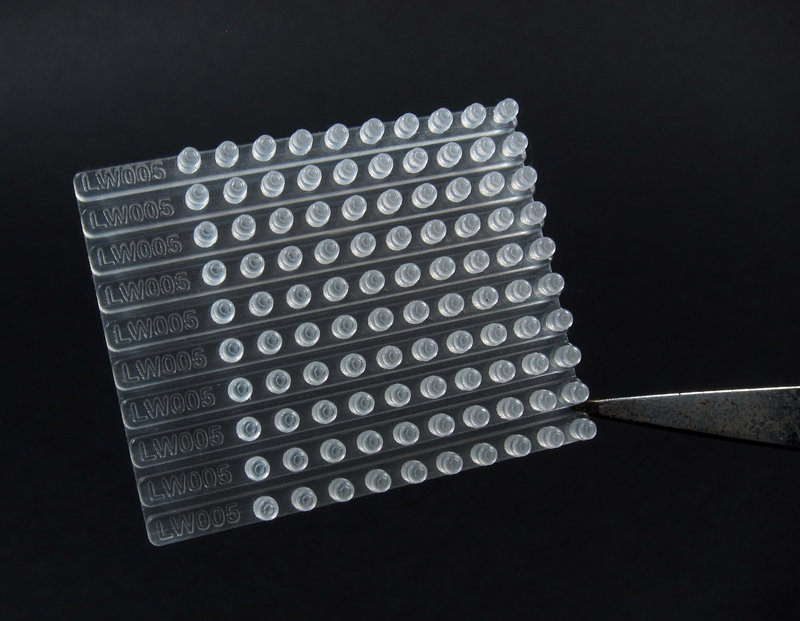 There are, however, many practical applications for 3D printing technology today. 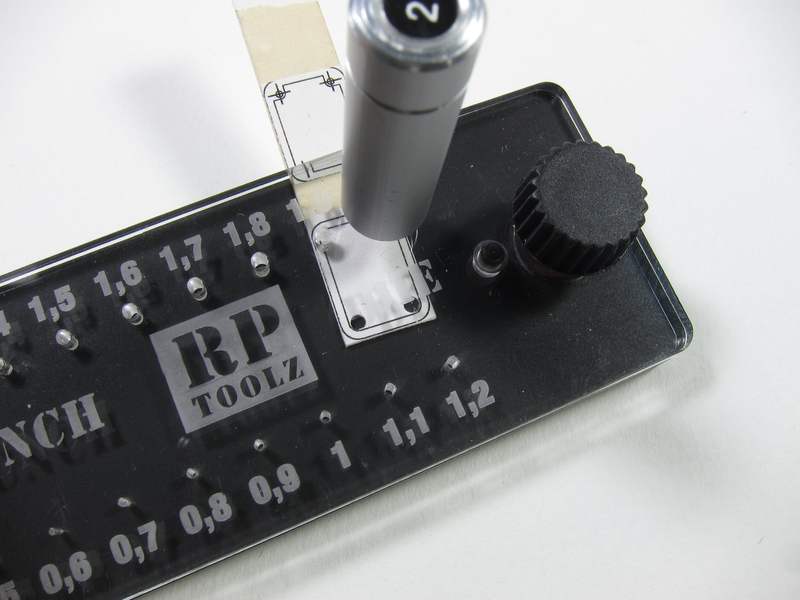 One of these applications is the creation of masters for aftermarket resin accessories. 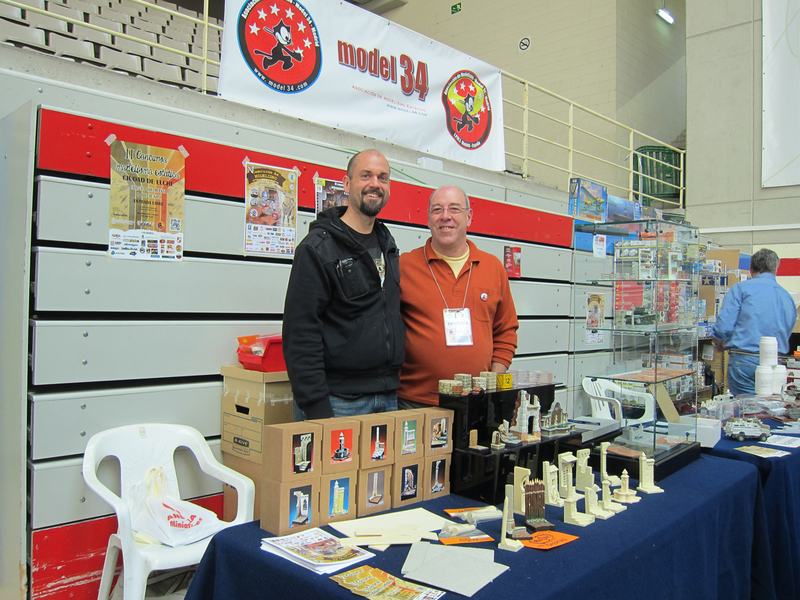 Companies like Eduard (for their Brassin range) Aires, DEF Models, Live Resin, HAD Models, Falcons Bench and many more, are seeing the value in creating models in CAD software and using those models to have masters printed. 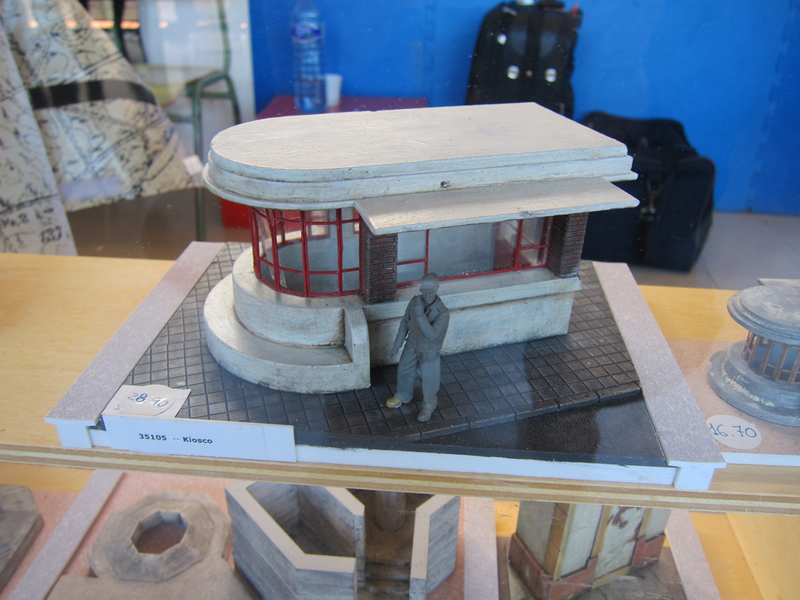 But creating these models is not as simple as scanning the real item and punching the scale into a computer. There’s still no “make model” button. 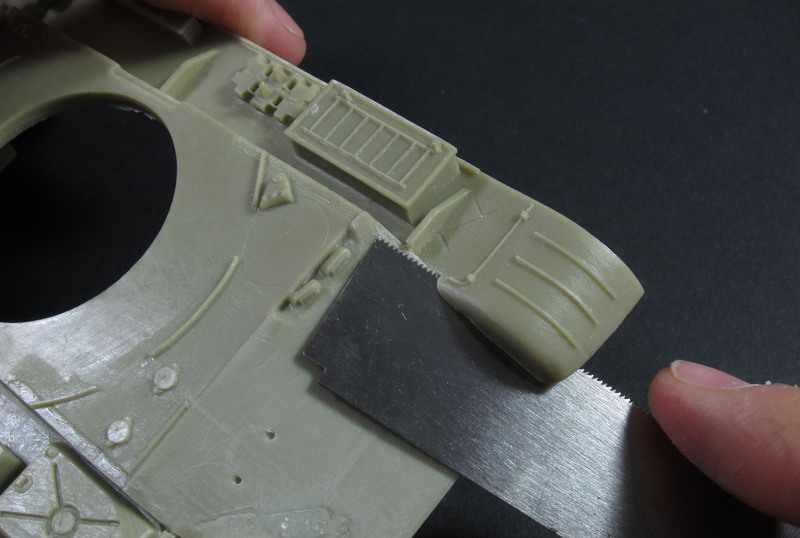 It takes experience and skill to design a scale model for printing, one which has value beyond just holding something “neat” in your hand. As a daily CAD user, I’ve developed the “flow” and practices that allow me to quickly break down complex shapes and surfaces to create a plan for modelling them efficiently, and the skills to put that plan into action in various software packages. 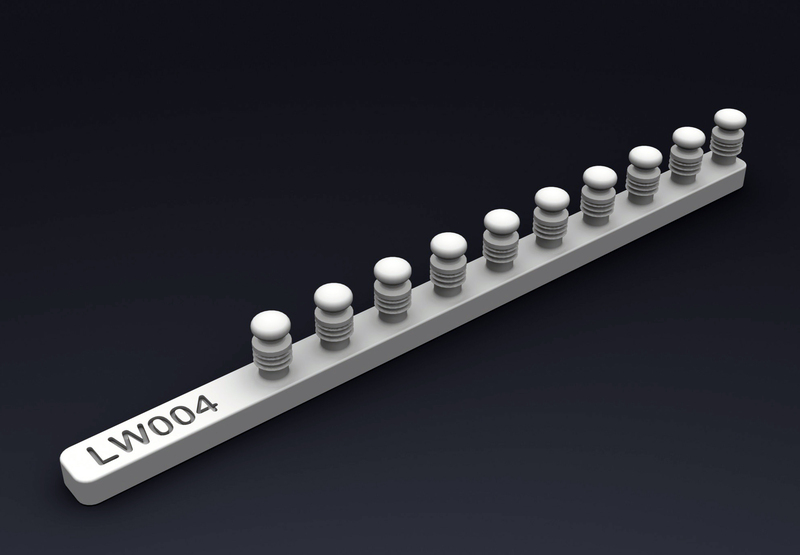 As a modeler and a product designer, I can look at a part and evaluate what a user is likely to want or expect in a product. 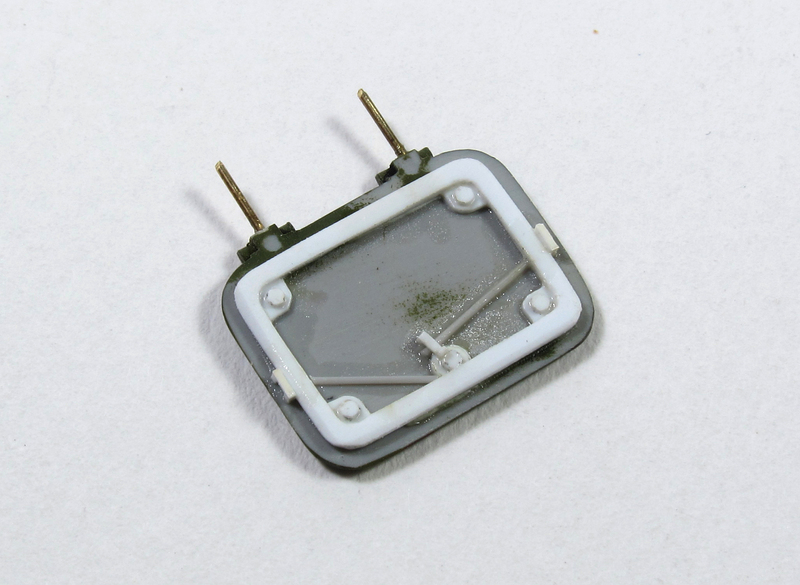 As an industrial designer and former production machinist (who also happens to have done a lot of resin casting), I’ve developed the ability to look at a part and see it in terms of a production process. As someone with a full-time job and little time for my hobby, let alone a cottage industry aftermarket business, I know that efficiency is something that MUST be designed into the production process at every opportunity if the effort is to remain sustainable and enjoyable over the long run. 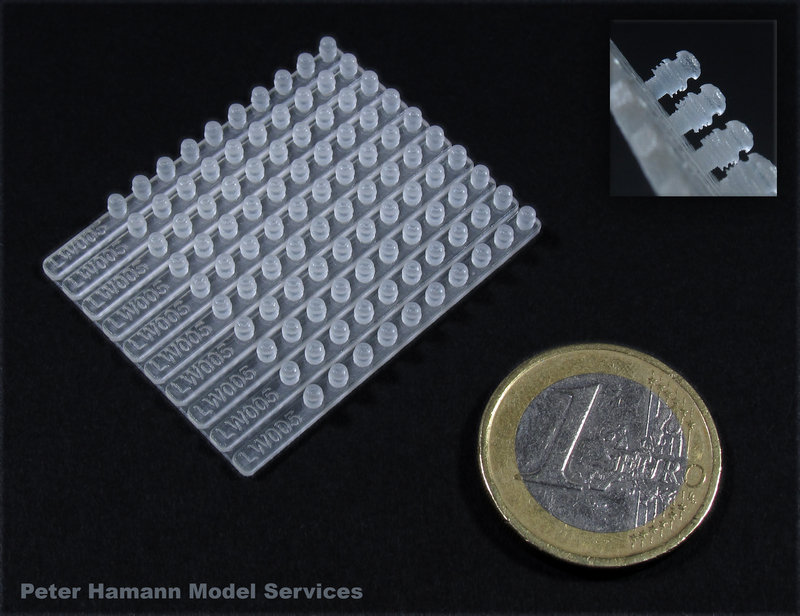 So when an aftermarket company approached me and expressed an interest in having some very small detail parts modeled in CAD and printed for the purpose of using those prints as masters for casting, I knew that I could leverage my skills and background against the new technology to help this company bring their product to market as efficiently as possible while creating a high quality product for the end user, the modeler. Easy! But let’s look at it through the perspective of the company who would be offering these pieces. They would need to select a casting vendor (or plan on casting them themselves) and have the parts cast. 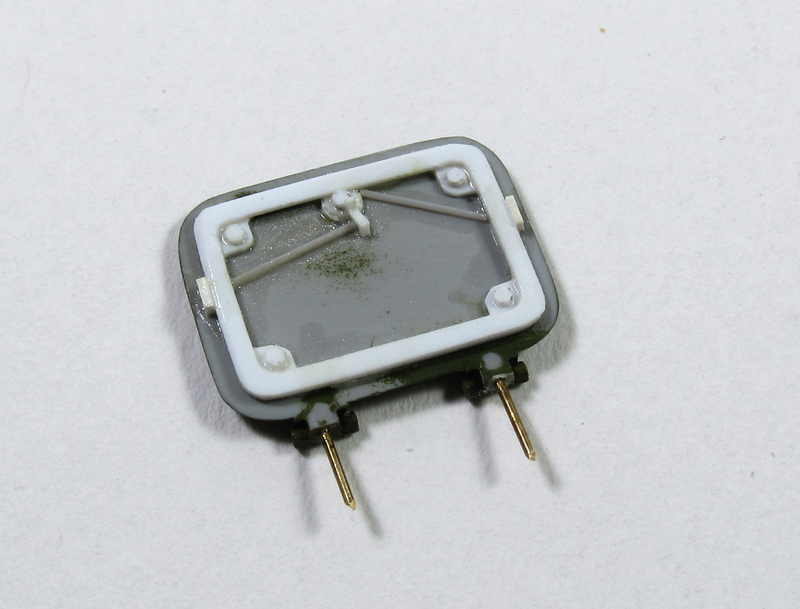 We’re talking about some pretty tiny parts: less than 2MM in diameter with details less than .25MM thick! 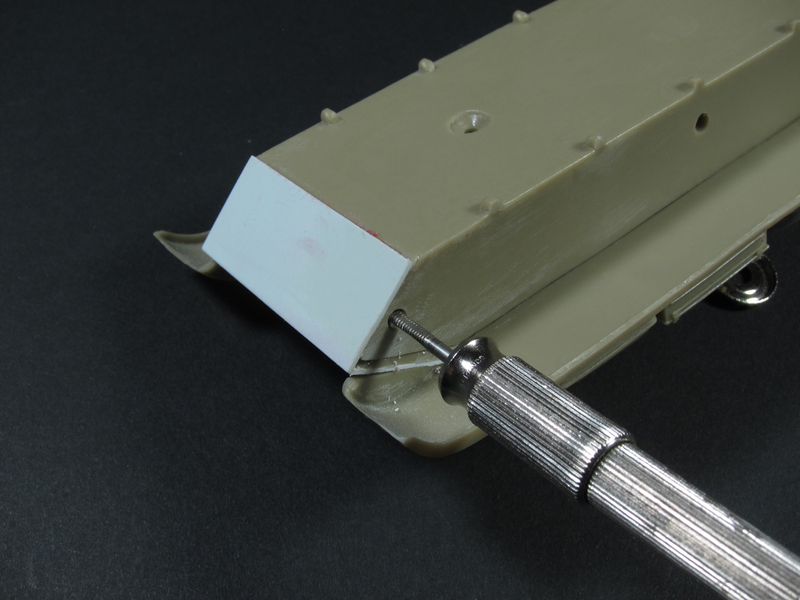 The design of the parts should facilitate easy handling for the caster, packaging, and the modeler. 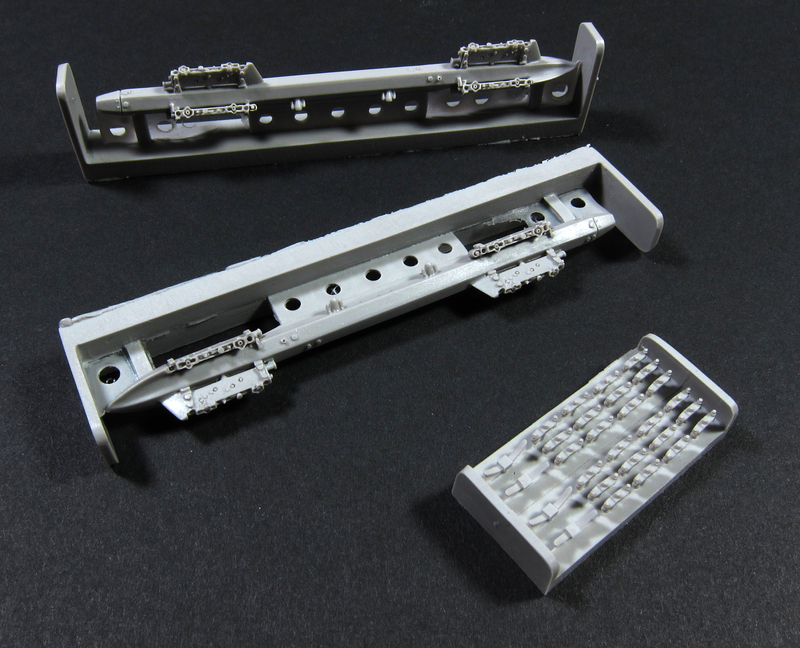 It was an easy decision to design a “sprue” arrangement to hold the part and make casting and handling easier. 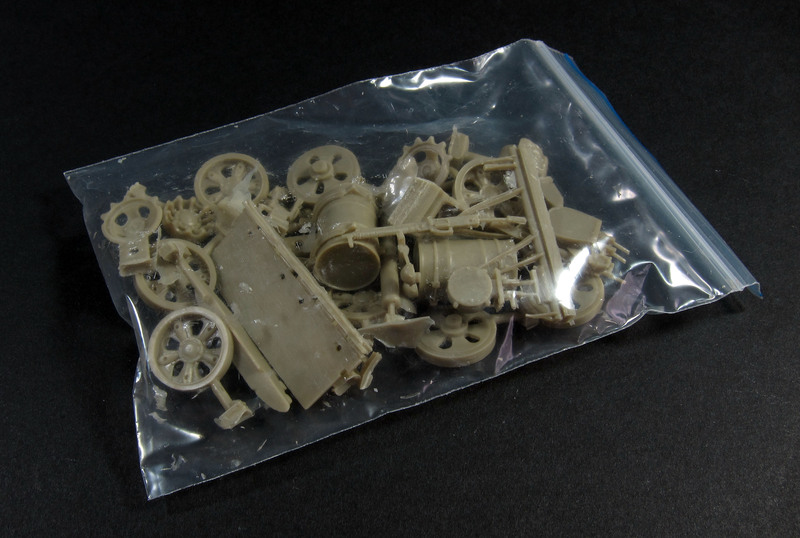 I figured that it would be a negligible amount of added print time, material, and casting resin to extend the sprue enough to add 2 spares of these tiny parts to the sprue as one of these parts from each set was bound to be sacrificed to the “carpet monster”. 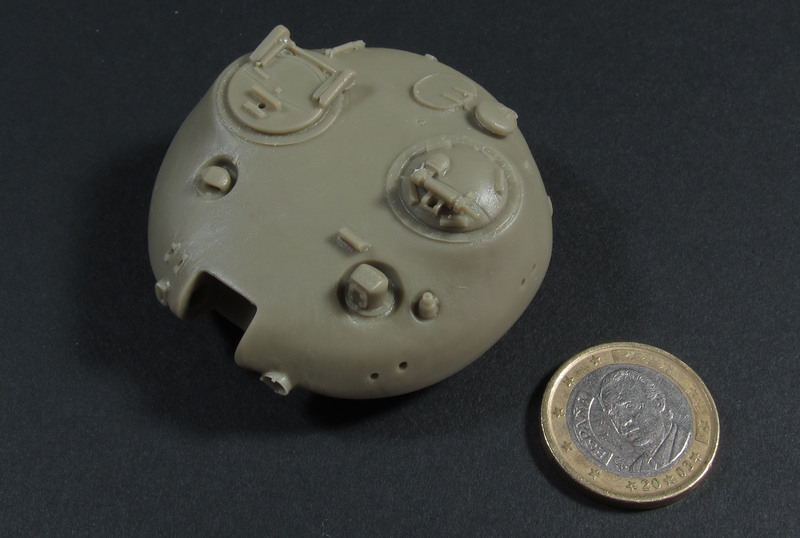 OK, so now we had a sprue, or more accurately a casting block, that was about 30MM long and still only about 3MM wide. That’s hardly enough to mix a batch of resin, and mixing that small of a batch is likely to end up with an “off” mixing ratio, leading to uncured, wasted material and time. 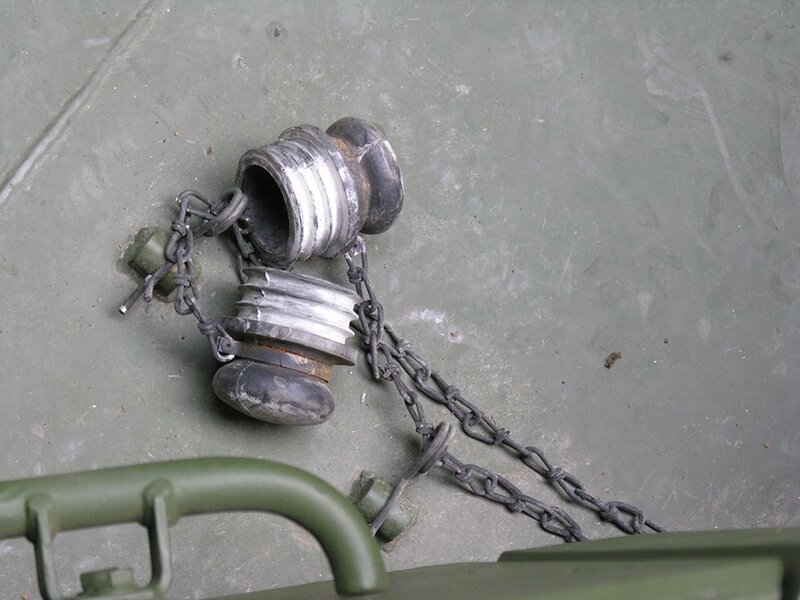 Casters typically overcome this problem with small molds by making “gang” molds. 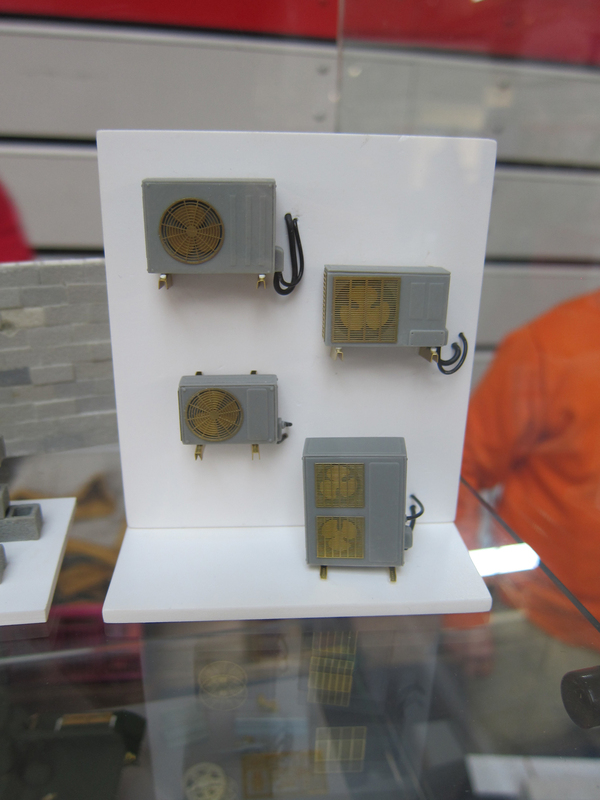 These are molds that produce multiple copies of an item with each casting cycle. 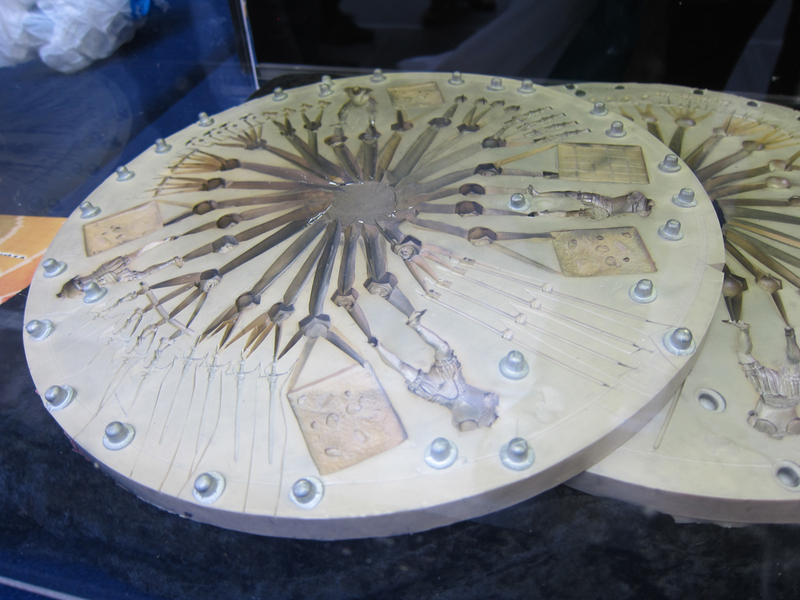 This is done by making one mold of the original part, casting multiple copies, then making a mold of those parts that will create multiple copies of the item with each pour. 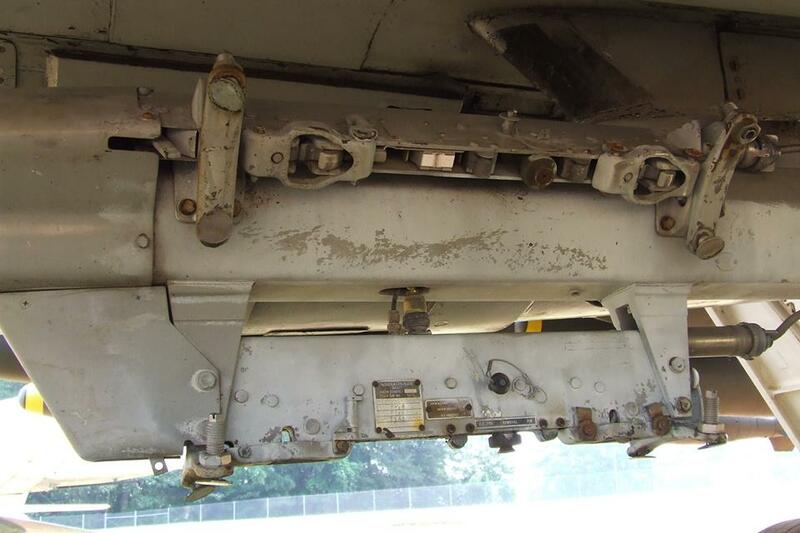 Often detail is lost, shrinkage accumulates, and the product suffers. Overcoming the need for this multiple generation process is a perfect application for CAD and 3D printing! 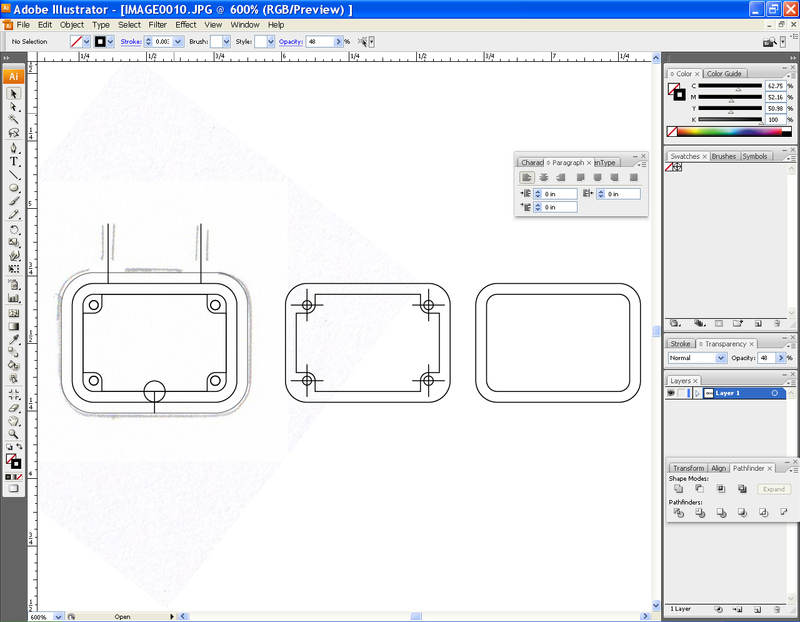 In CAD it’s a simple matter to pattern a feature or a body to create a “gang” master. I figured that if the caster could get 10 blocks of parts per pour, an economy of scale would be established immediately. 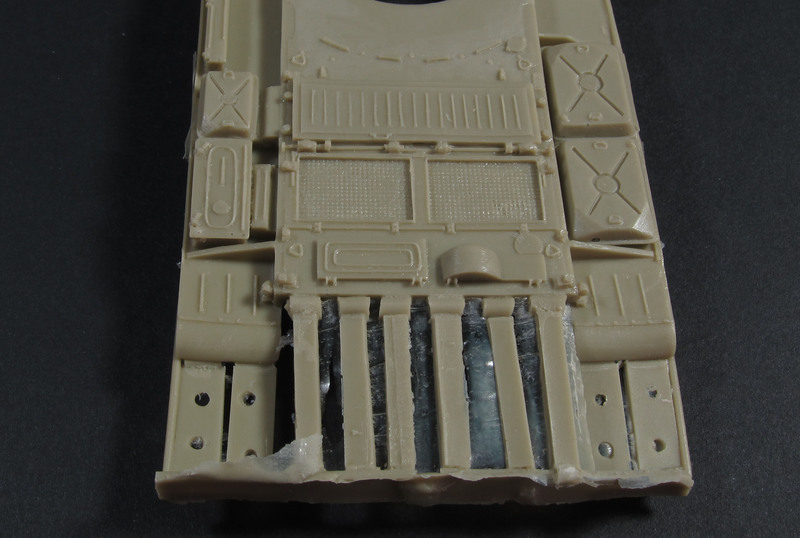 After the main block is removed from the mold, the individual blocks could be snapped off of the “gang” block and dropped into packaging. 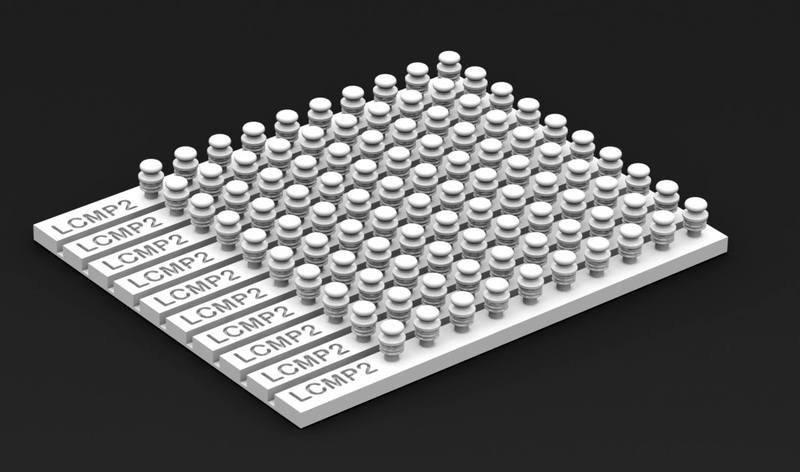 All that was left was to add an additional bit of length so I could add a product number to each block, elevating the perceived level of quality, and we’d be ready to upload the file to the print bureau. I uploaded the file and sent a link to the aftermarket producer letting him know how to order his prints. I also uploaded the STL file (necessary for printing) and another common type of CAD file (for his archiving in the event of future work CAD needs) to DROPBOX and sent him the link to the files. At that time, I ordered an archival print for my own use. My part showed up a week later and it looked fantastic! It’s really amazing what the new SLA and SLS machines can do. 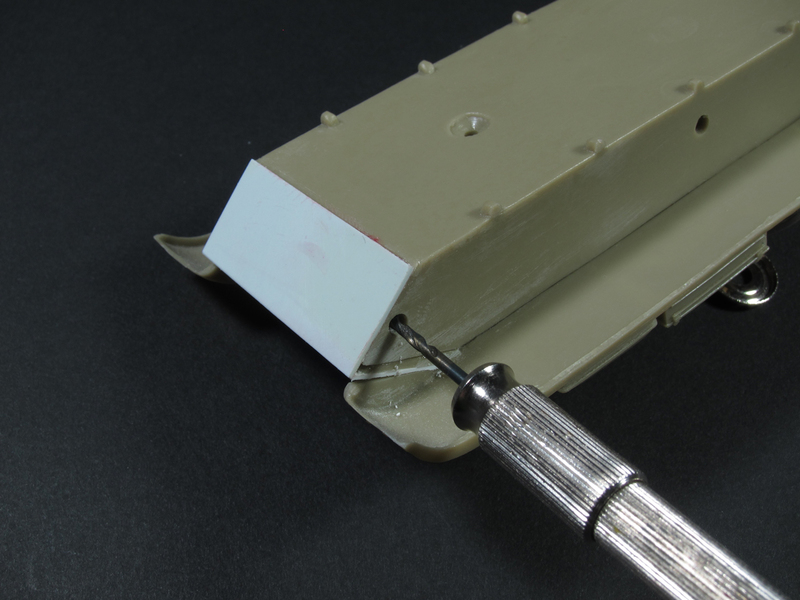 Be aware that some finishing is still usually required to get smooth surfaces on the masters. 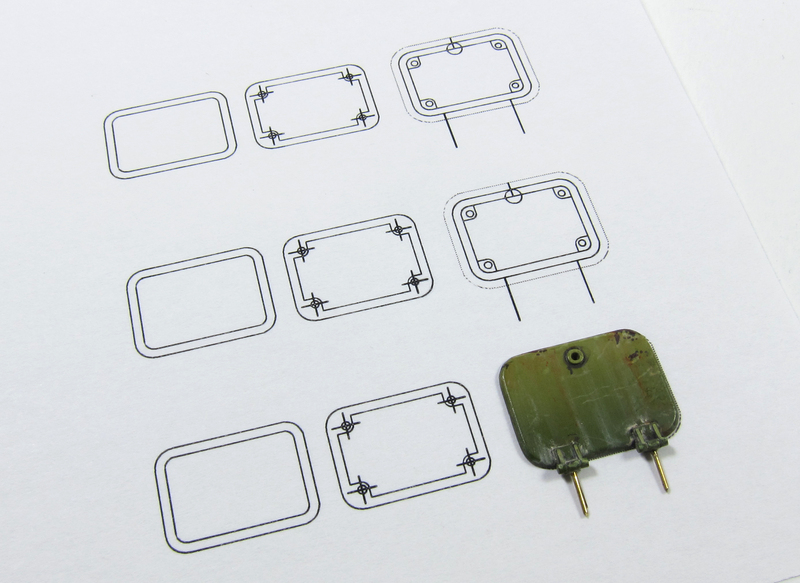 A little knowledge and a good working relationship with the print bureau can help minimize the amount of work required to prep the prints for casting. 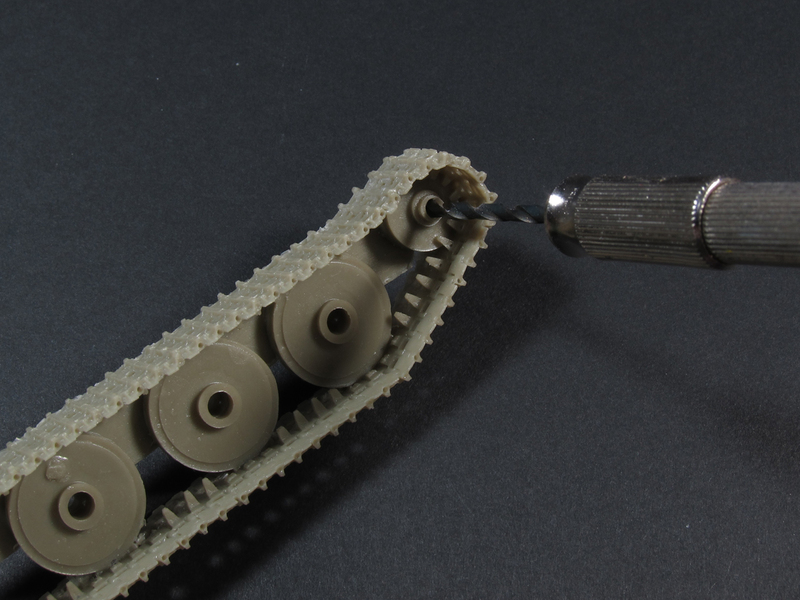 While 3D printing might not yet have reached full maturity, where a modeler just has to hit the magical “make part” button (don’t forget, I’ve only addressed the CAD model side of the equation – I haven’t even touched on the skills required to successfully operate a 3D printer) there are still some great applications for the technology, and advances in affordability, fidelity and ease of use are constantly being made. Who knows – it may not be long before you’ll have to look at your stash shelf to see if you have room before you hit that button again! They will include photoetched retainer chains. An airplane has found it’s way onto my desk! 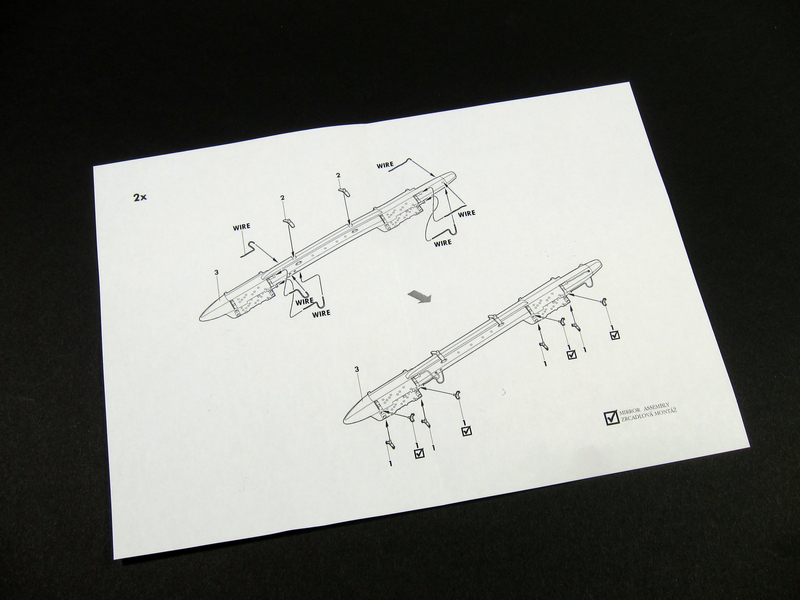 Specifically Hasegawa’s 1:48 scale A-4E Skyhawk. 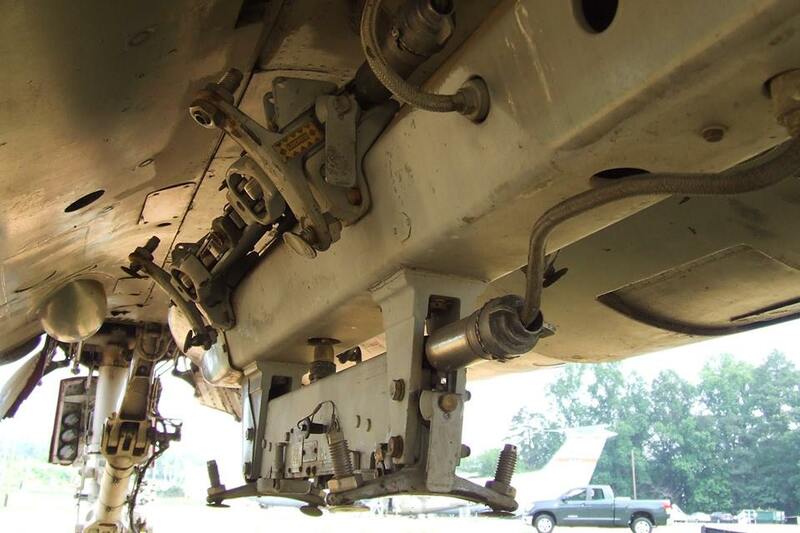 Hasegawa produces some of the finest detailed and best fitting kits available, and the Skyhawk is definitely one of the cleanest-building, most well-detailed kits, out-of-the box, that I’ve ever had the pleasure of building. 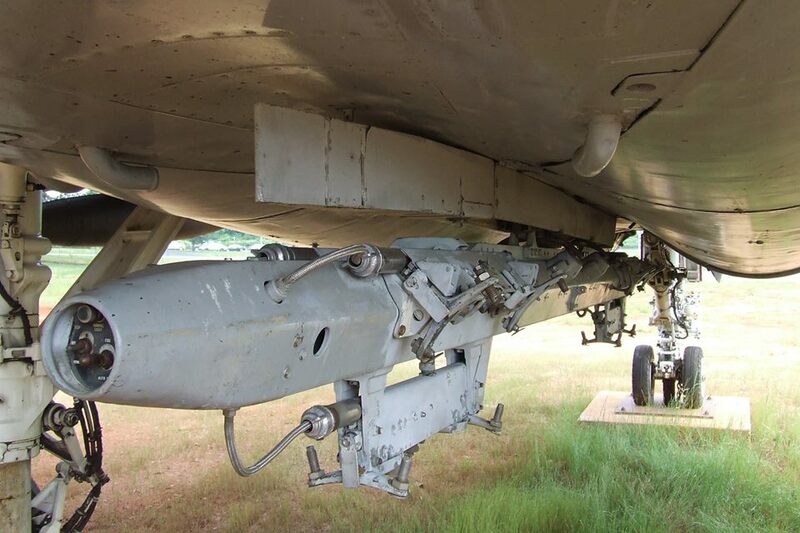 One thing it is lacking, as are almost all Hasegawa kits, is ordnance options. 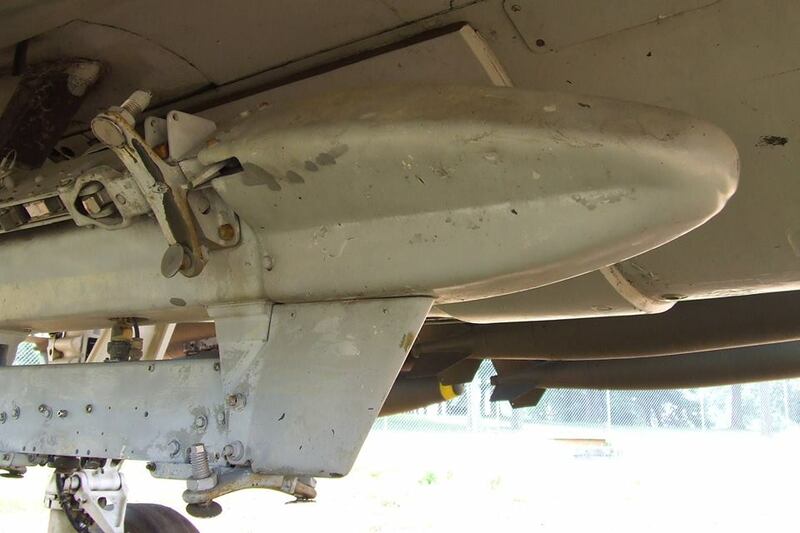 The kit includes auxiliary fuel tanks (drop tanks) and Skyhawk specific pylons, but no weapons or weapon racks, so aftermarket is a necessity if you want to hang anything that goes “BOOM”! Fortunately Aires of the Czech Republic offers a solution. 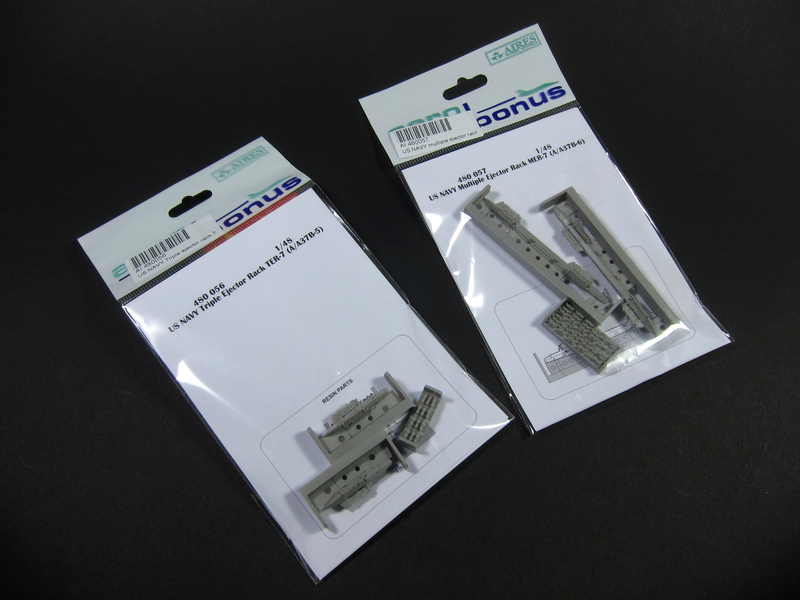 This prolific aftermarket company exploded onto the scene in 1995 with their first resin aircraft detail set for the Hasegawa Ju-87 Stuka. Since then they have continued to introduce new products at an astounding rate. 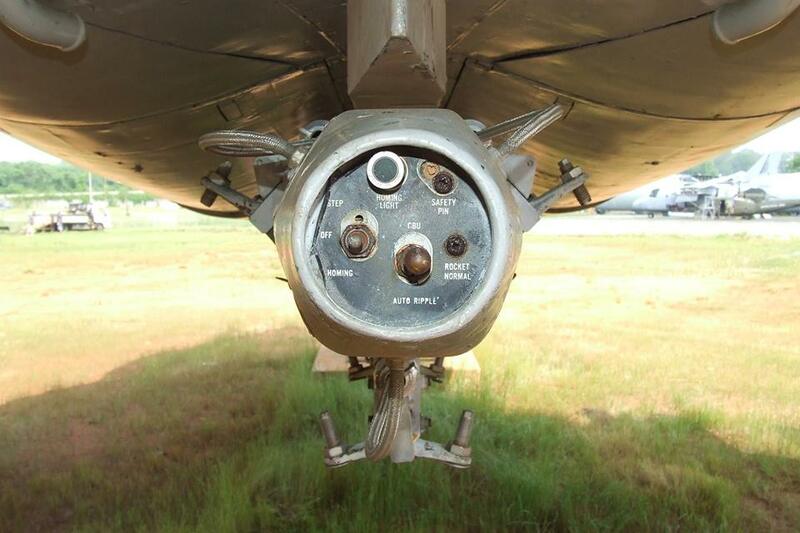 Beginning with cockpit and engine sets, and later expanding into other areas, it seems that now there is no area of aircraft detail that remains unattended to by Aires. 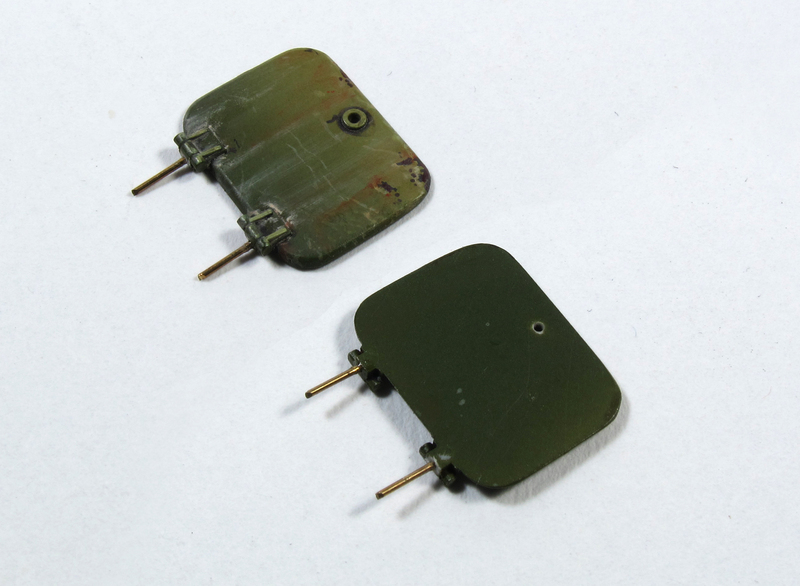 Recently they have begun to offer a line of more tightly focused detail items to help modelers fill in the “gaps” in their models and dioramas with items like seated and standing pilots, ordnance, airfield equipment, and pylons and racks. 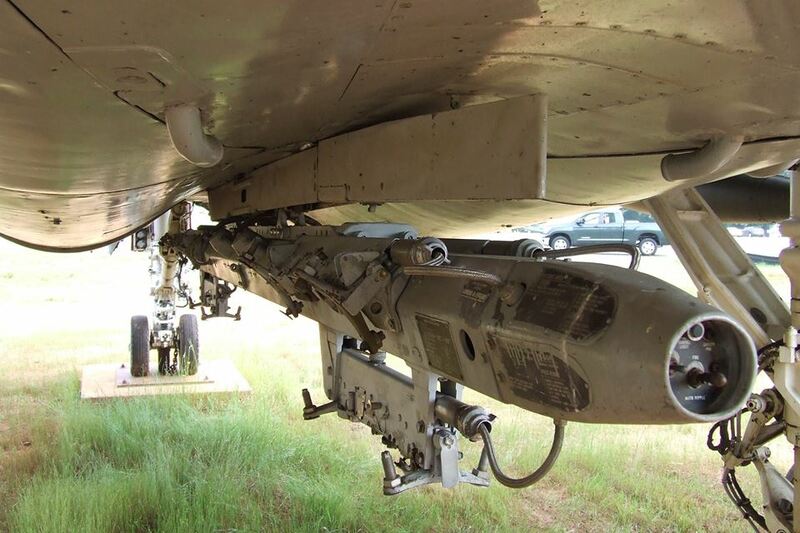 These items appear under the AEROBONUS name and are well worth a look. Cast in Aires typical grey polyurethane resin with excellent, well-cast detail…well really what else can I say? I don’t have measurements of the full scale articles, so I can’t comment on dimensional accuracy…wait wait! I hear you saying “Well then what is the point of a REVIEW if you don’t know if they’re accurate or not! ?” Well dear reader, my intention is not to review the items in question. My desire is to share detailed pictures of what you get for your money. I’ll gladly let the discussion of accuracy take place in the nether-holes of the interwebs. Those places where experts roam unconstrained by human relations to freely engage in heated exchanges of opinion about such pressing matters as fractions of millimeters and thousandths of an inch. 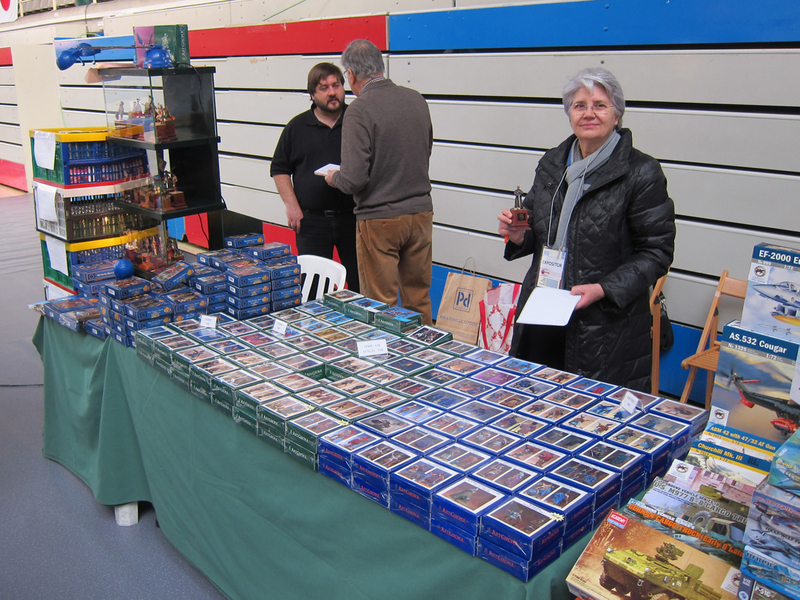 OK – Pictures are way more fun! 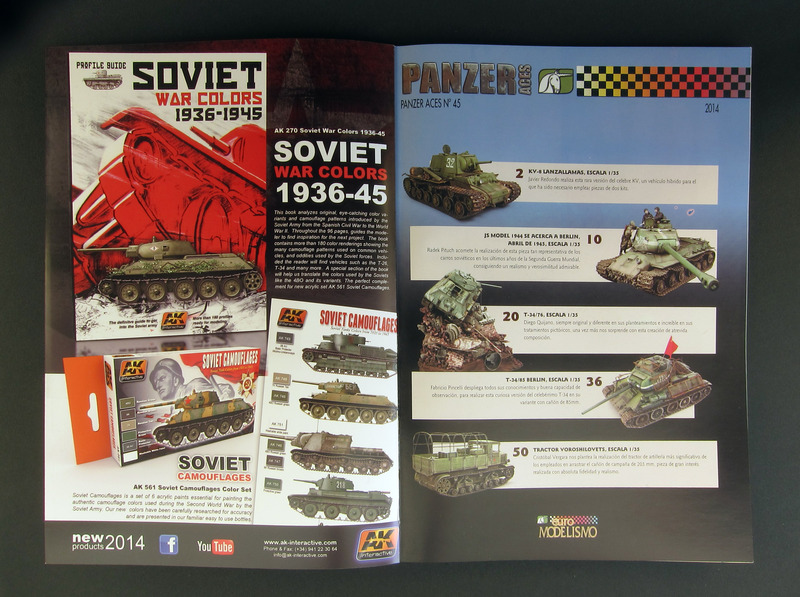 Side-by-side with the Revell rendering of the same item. 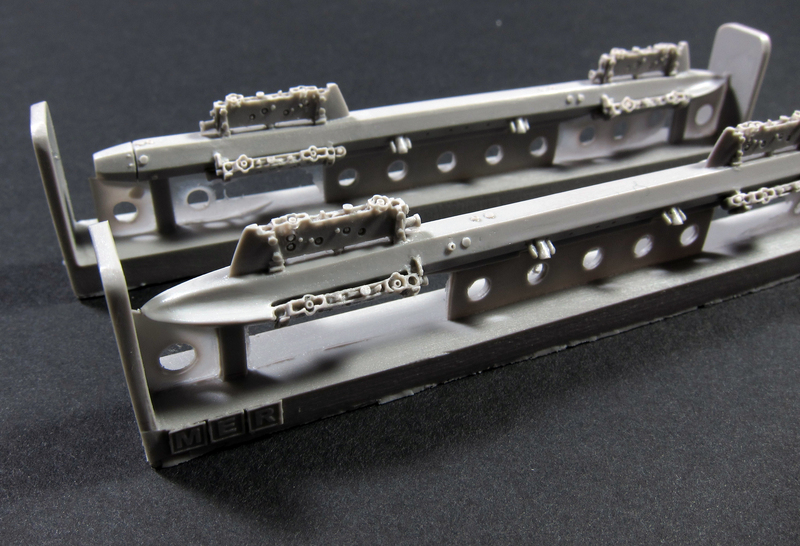 The modeler will need to add the short cable that runs from the AFT face of the ejector assembly to the main housing. Aires / AEROBONUS have provided a small indentation at the places where the modeler would drill a hole to add this – a nice touch! 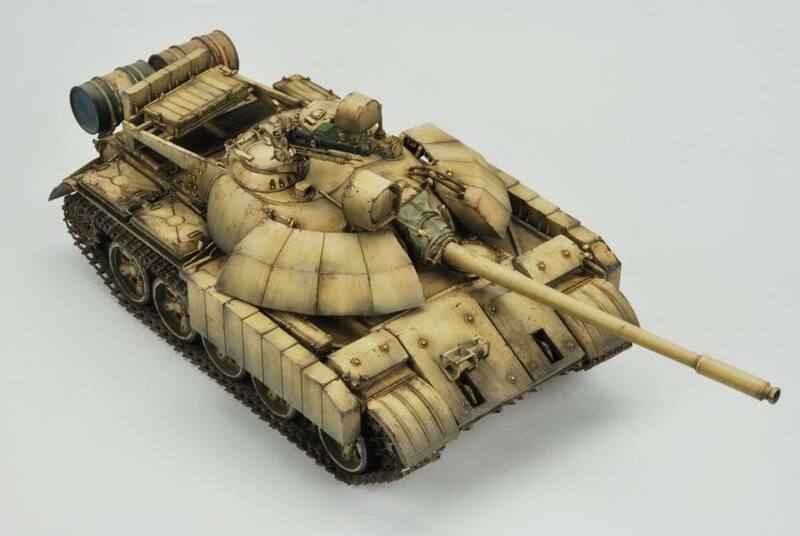 These things look great and are very well detailed. 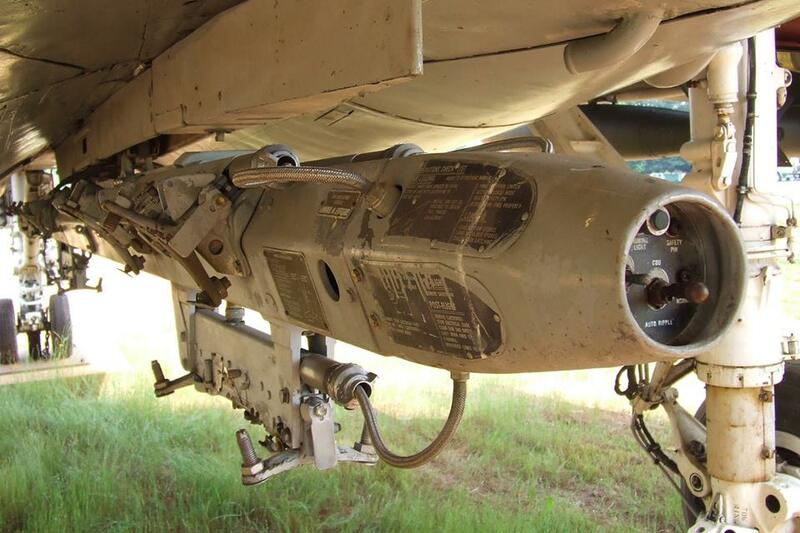 I can’t wait to add them to my A-4. 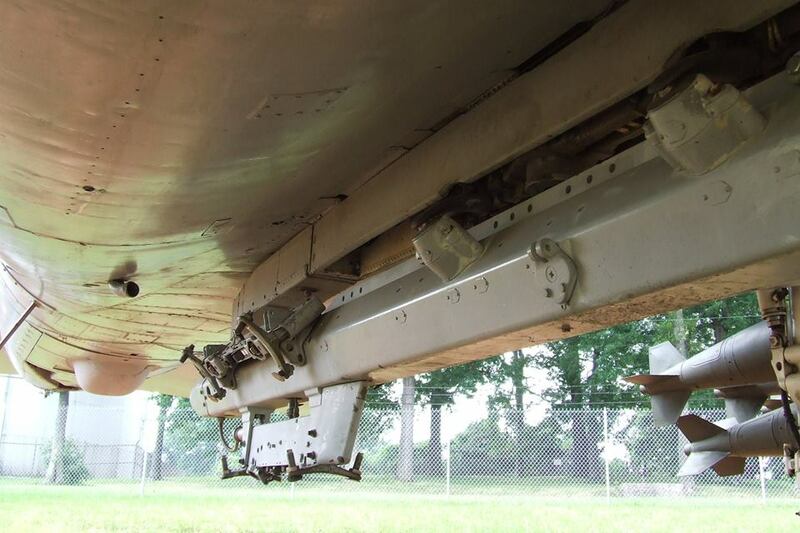 Dave Roof – Retired Marine Ordnanceman, owner of Flying Leathernecks Decals http://flyingleathernecksmodels.com/ and “Awesomerest guy ever!™” sent along these photos of a MER-7 with an A-6 Intruder attached to it. Thanks Dave! You can see in the pictures that the nose contours on this MER-7 are soft and rounded. 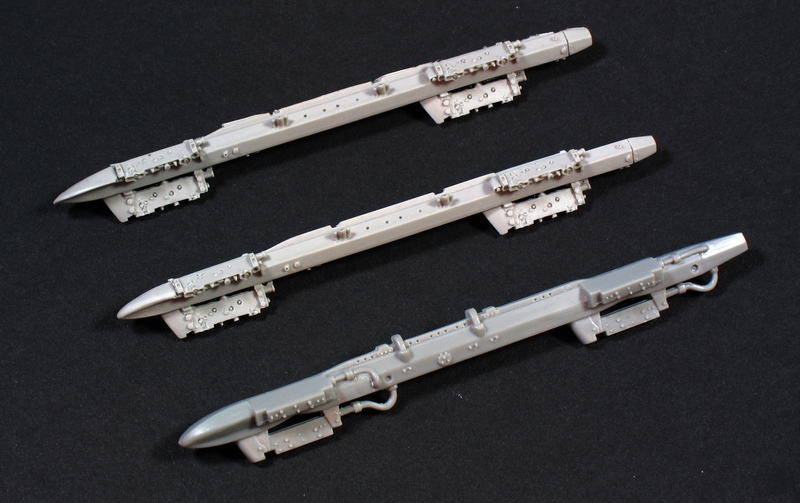 So out came the sanding sticks and within a few minutes I had something that more closely resembled what I saw in Dave’s photos, as well as being closer to the Revell example. OK well it turned into a bit of a proper interwebs review in the end, but I’m OK with that. If what I’ve posted helps the reader decide if the item is something that they want to add to the stash, I’ve done my job. Dave was kind enough to permit me to post his additional photos, so here they are. 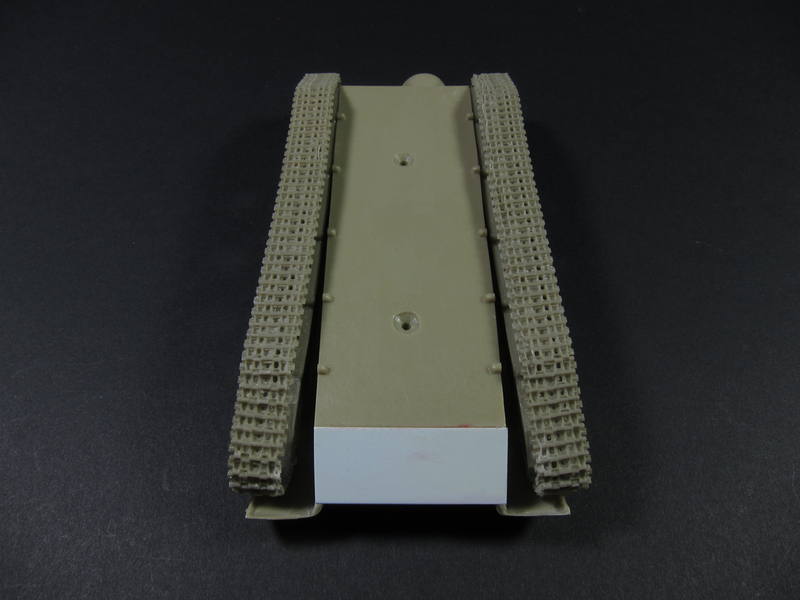 One of the things that has always bugged me about my ASU-85 has been the total lack of detail on the interior of the crew hatches. 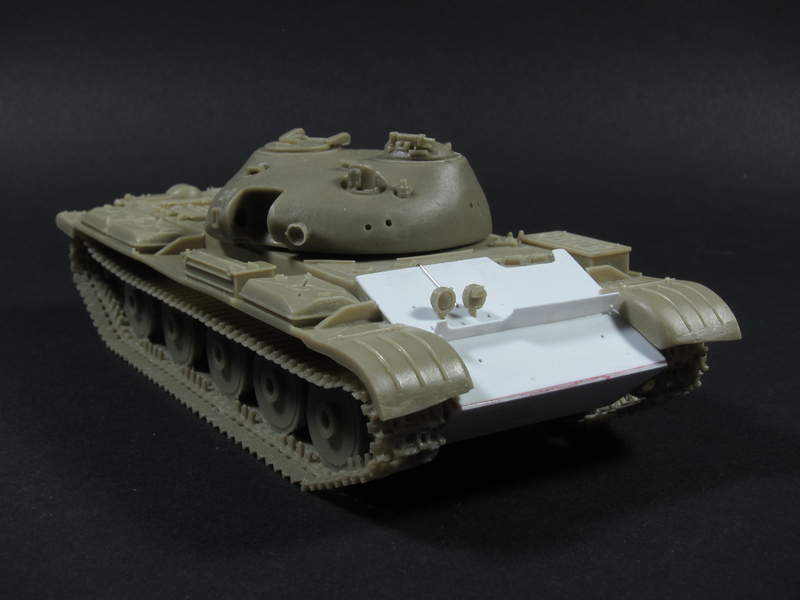 Even though eventually I’ll add a seated Soviet tanker, which will help hide the smooth flat surface, I’ve decided to add some detail to help liven the area up a bit. 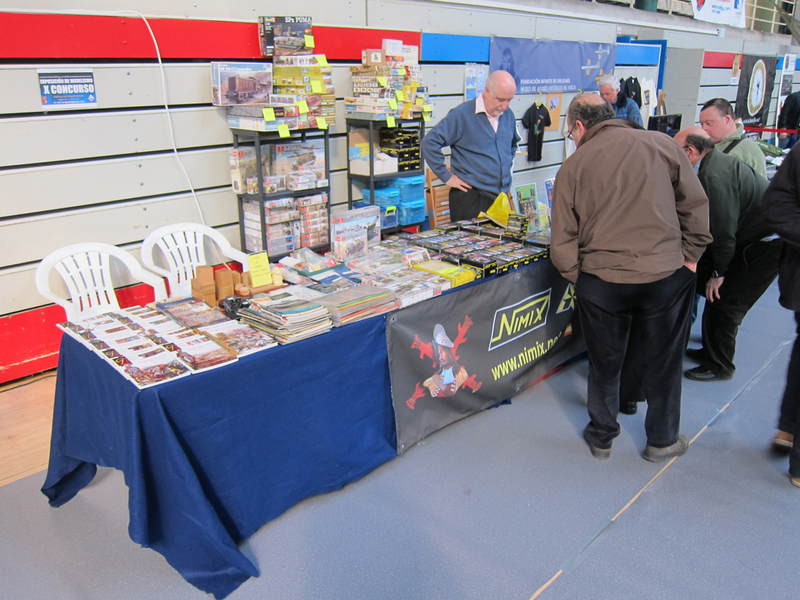 I’ve also decided to try to attend the IPMS Madrid show in Mid-March (in a week and a half!) and since this is the only model I’ve completed in the 12 months since last years show, and thus, the only thing I’ll have to put on the tables, I’d better get cracking! I looked for reference photos online and couldn’t find any. Sometimes this can be a good thing, as it (hopefully) means that no-one else can either, so the odds of someone pointing out an inaccuracy are minimal. I started by planning the general layout of the detail and decided on a rim or gasket-like appearance, with a few fasteners and the suggestion of a handle and latching mechanism. Once I had the idea in mind it was time to get busy. My goal here was to try to complete the rework (minus paint and weathering) in one build session. 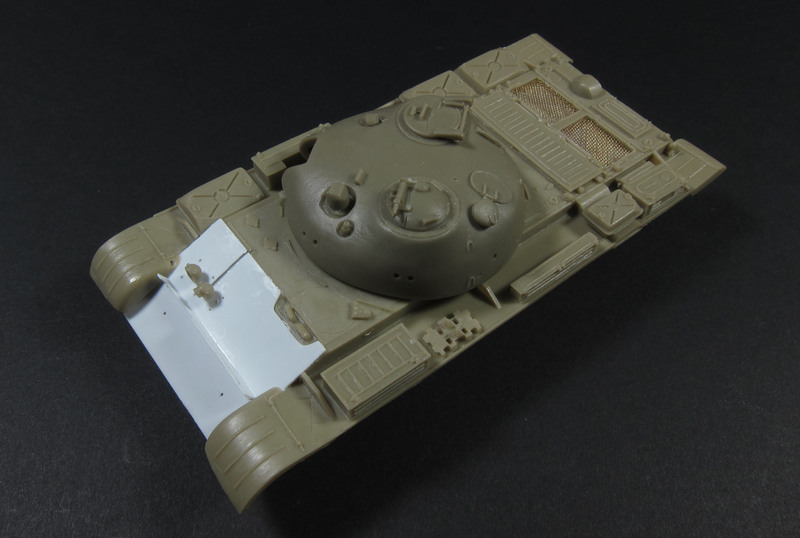 I also wanted to leave the exterior of the hatch undisturbed since painting and weathering had been previously completed. 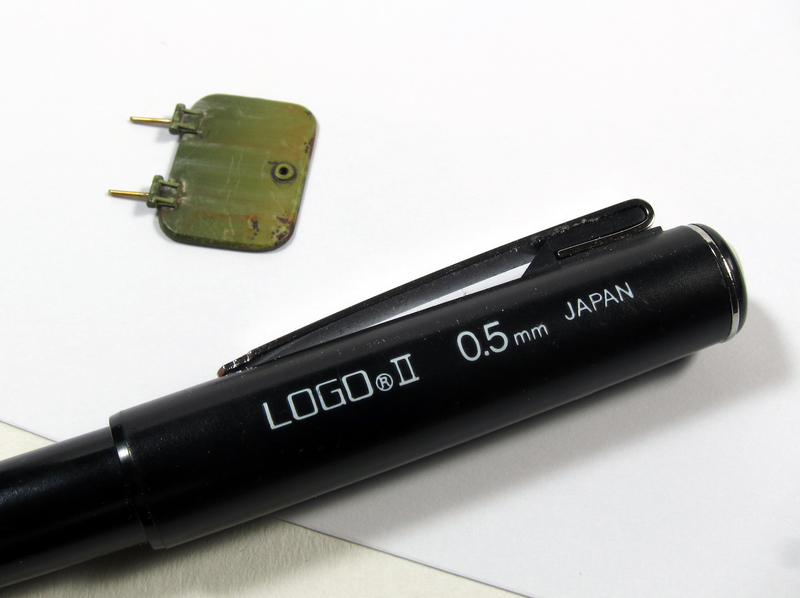 I started by tracing the hatch with a .5MM mechanical pencil. 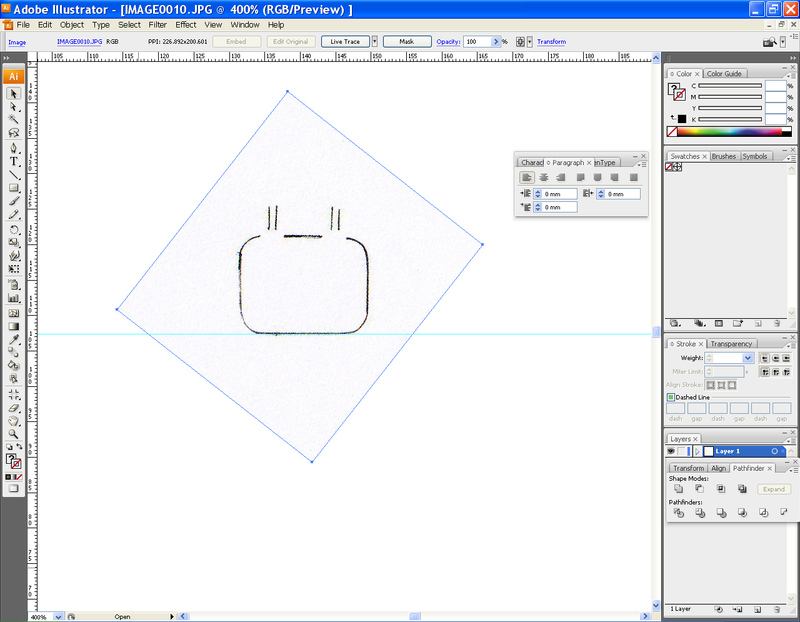 Then I scanned the tracing and opened it in Adobe Illustrator. 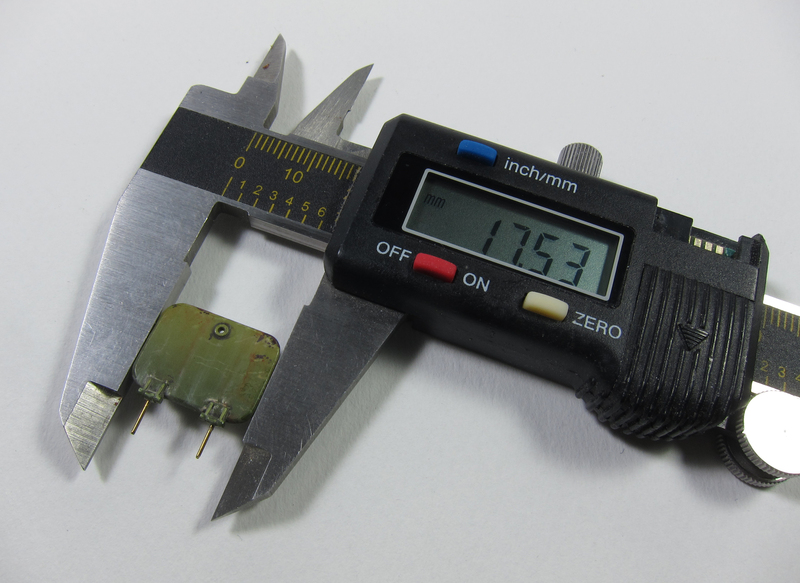 then measured the kit hatch to confirm that the Illustrator drawing was sized correctly compared to the kit part. copied the pattern a few times and printed it out onto plain paper. 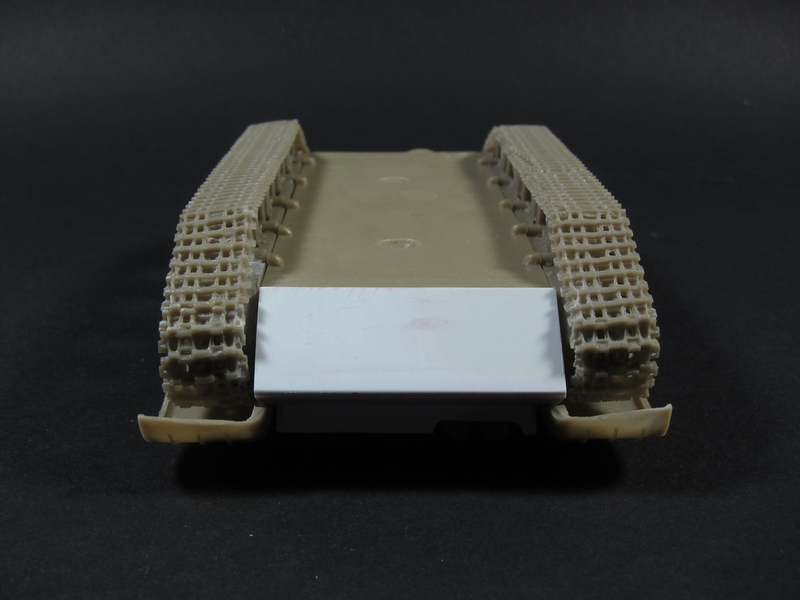 Here you can see the kit hatch laying on the print to confirm the size. 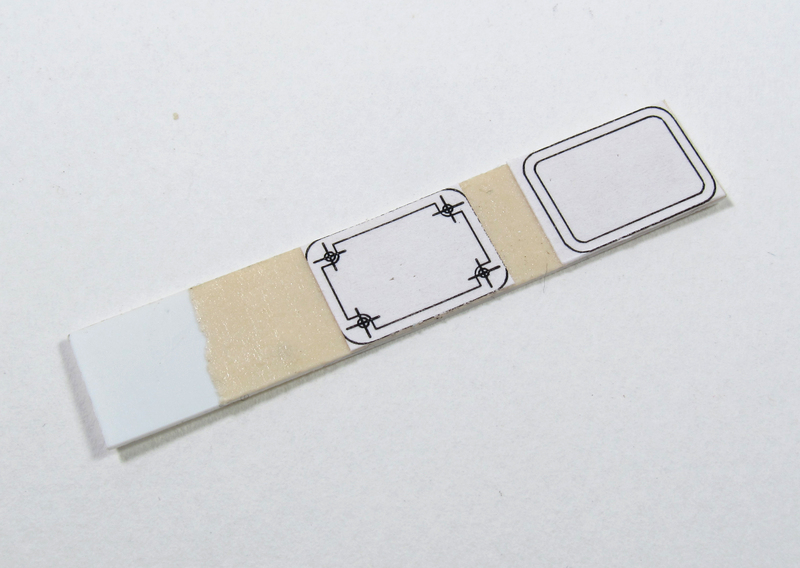 I attached the pattern to some .010 sheet styrene using double-sided tape. 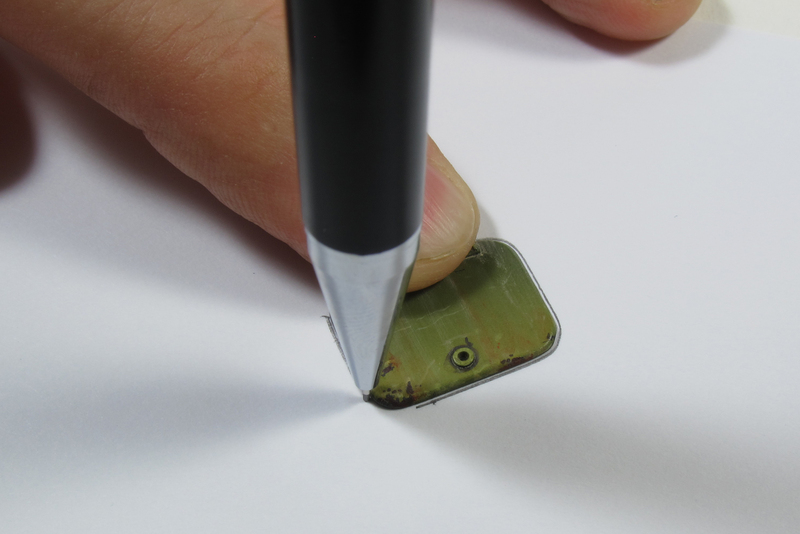 I started by punching out the inside corners with my new RP TOOLZ round punch and die (2MM diameter). And cut away the rest of the interior contours. 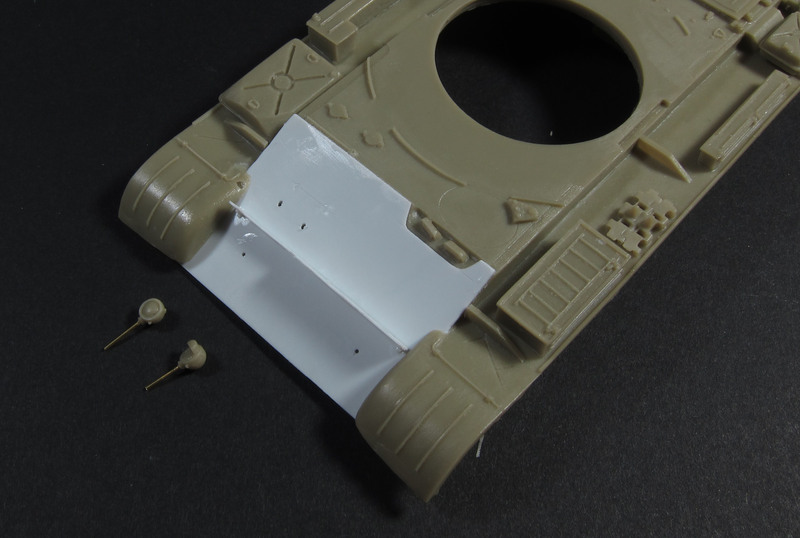 Then it was just a matter of squaring everything up with a file and adding some details with styrene strip, punched bolt heads, stretched sprue and some thinly sliced styrene extrusions. 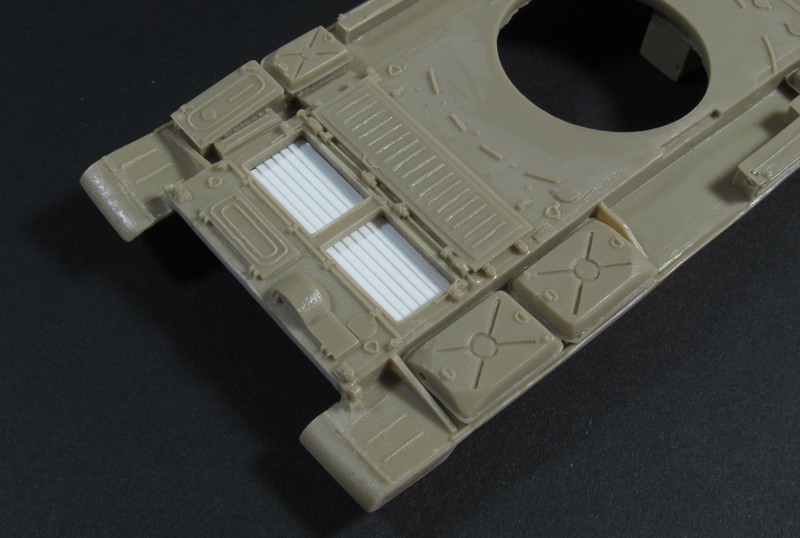 I think that the new hatch is a huge improvement over the original featureless kit part.